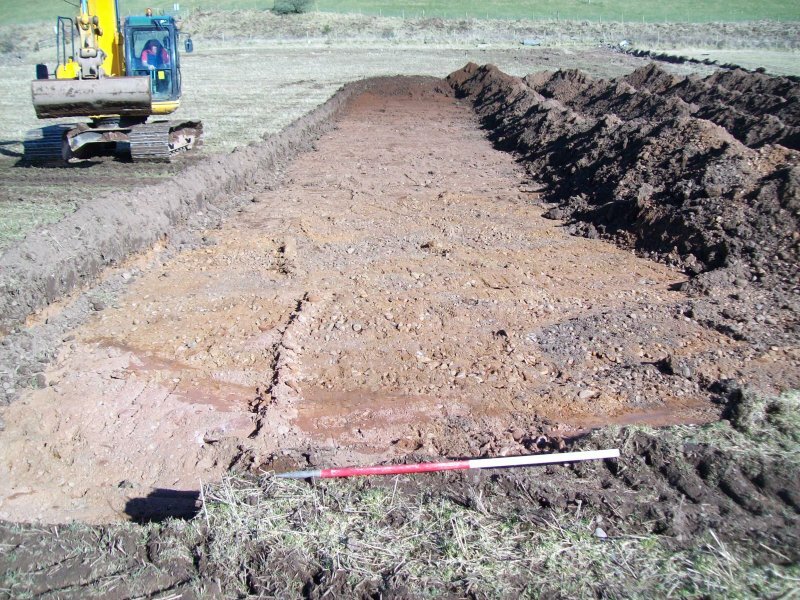 Barburgh Mill Roman fortlet, discovered by J K St Joseph in July 1945, briefly examined by him in July 1946, was excavated by D J Breeze for the D of E in July and August 1971, in advance of gravel-quarrying. 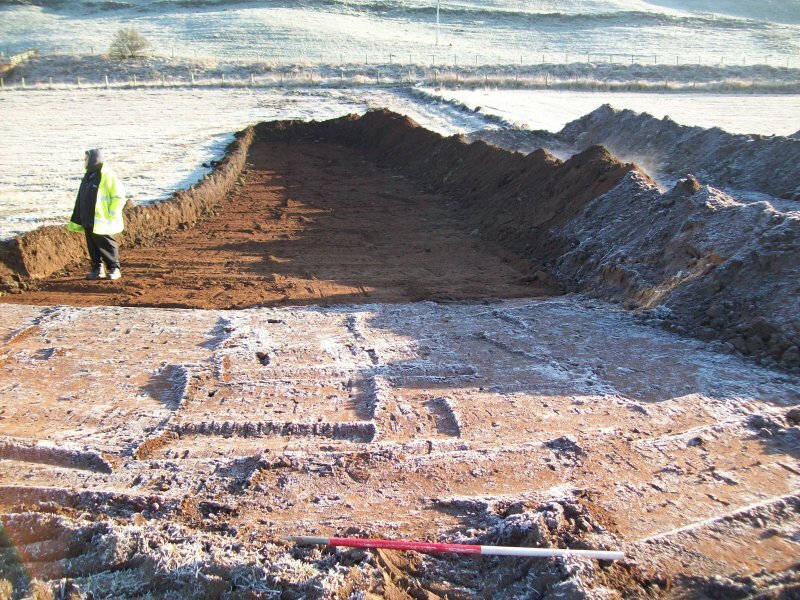 The fortlet, which lies on a hillock close to the Roman road (RR 77), measured 34.5m N-S by 35.5m E-W within a V-shaped ditch, which varied in width from 4.5m to 6.7m. 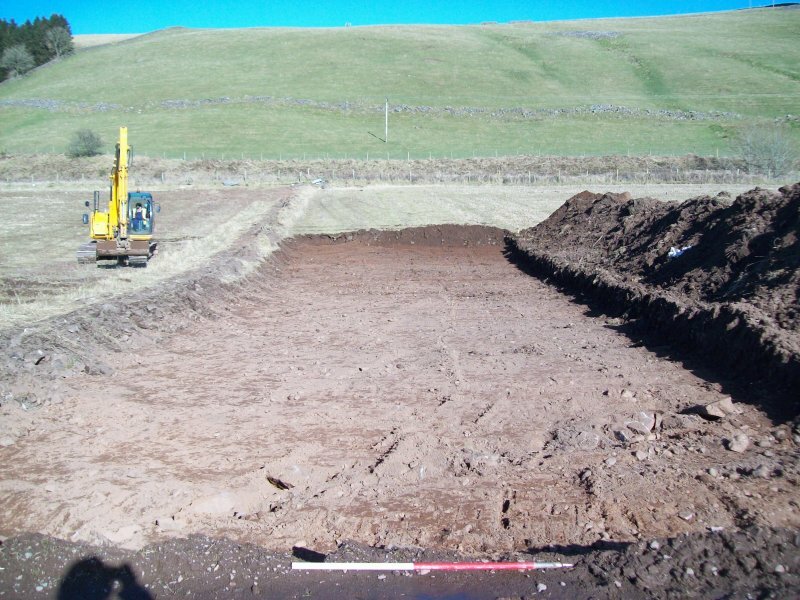 No trace was discovered of the rampart (some of whose turves formed part of the infill of the ditch) but, assuming there was no berm, it would have been between 3.5m and 4.5m broad, giving an internal area of c. 700 sq m or 1/5 acre. 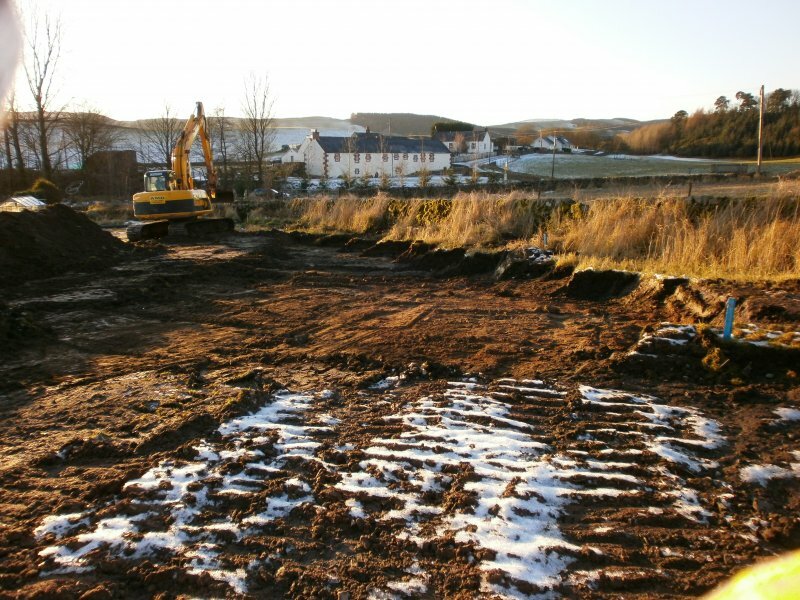 The internal buildings consisted of two timber barracks, each of six rooms, facing each other across an open space which showed no trace of metalled surface. 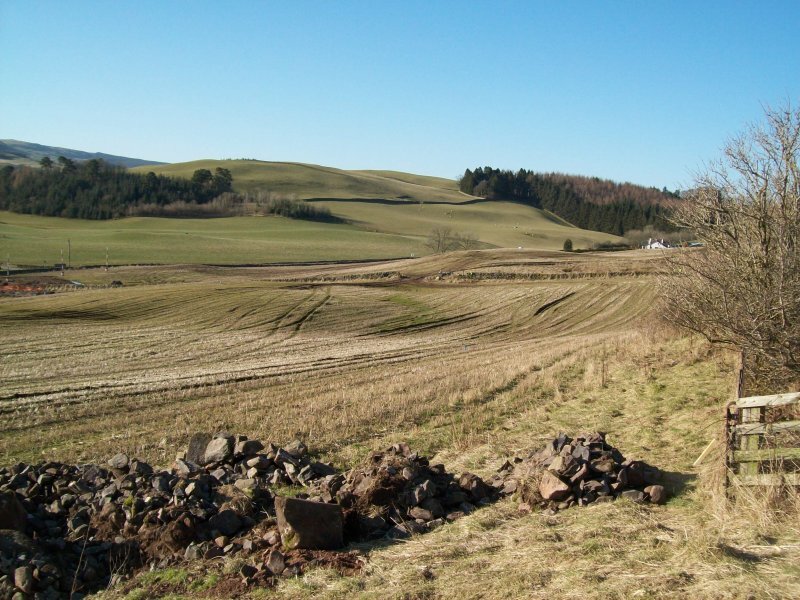 These suggested that the fortlet had been intended to house one century of infantry. 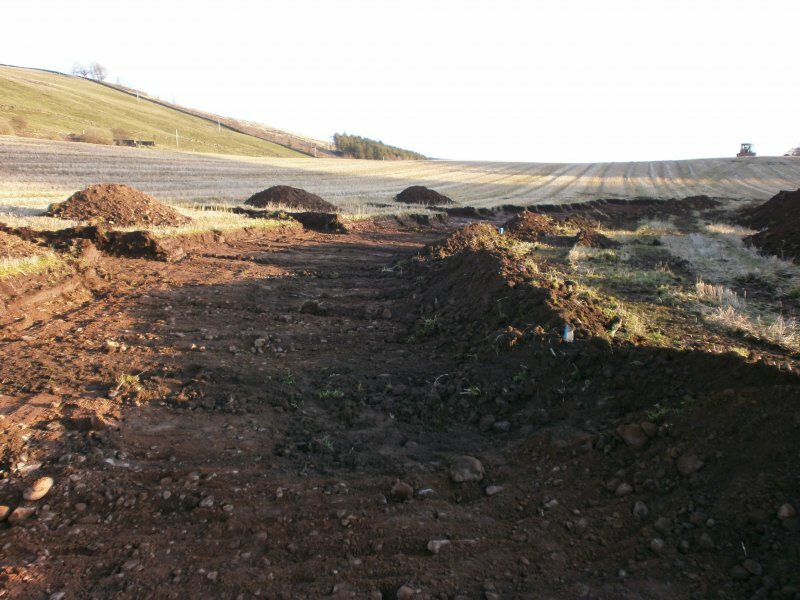 There is no evidence to suggest occupation other than in the first Antonine period in Scotland. 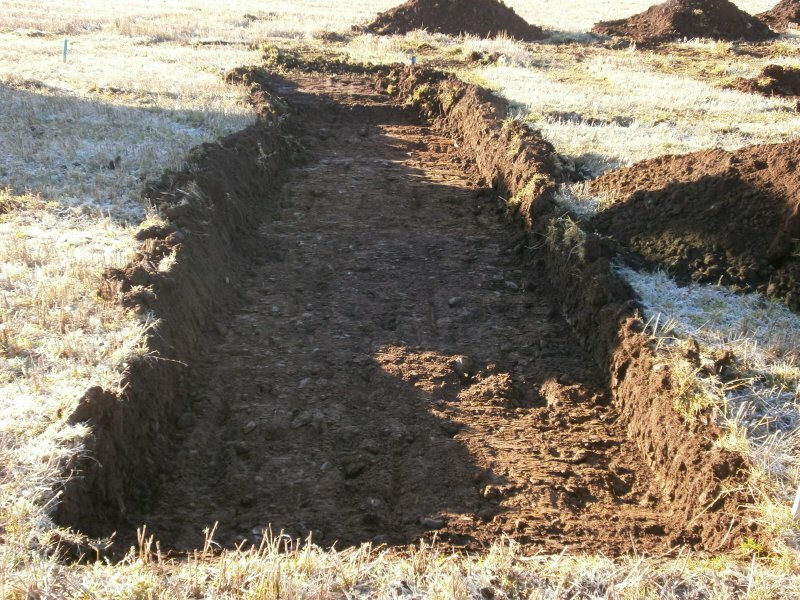 When the fortlet was abandoned, the rampart may have been slighted, but the ditch was not completely infilled until at least the 14th century. 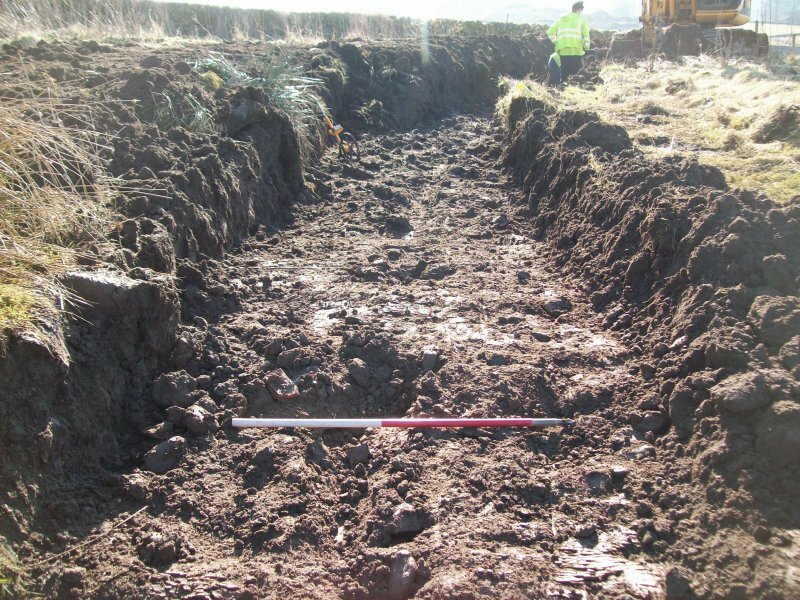 Two outer ditches were also sectioned. 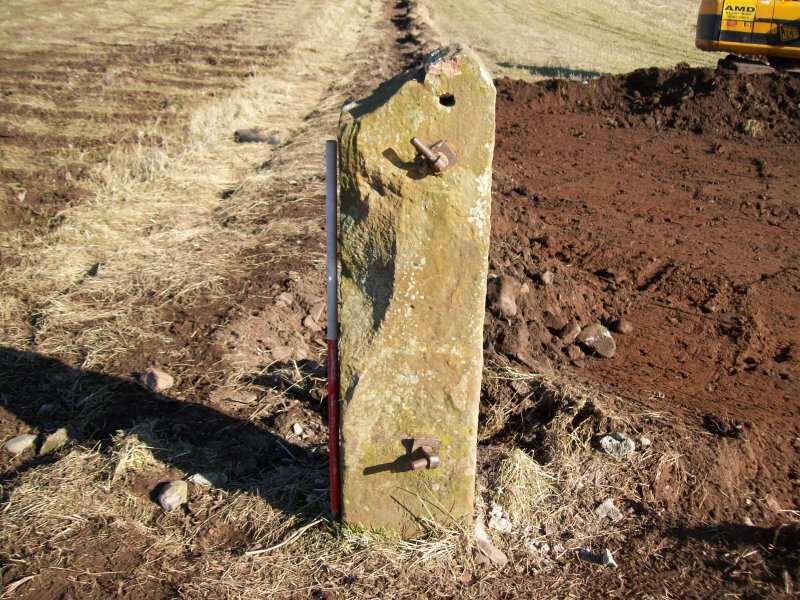 One, running roughly N-S, flanked the forlet at an angle on the E. It was V-shaped, 3.5m to 4.4m wide,, 1.45m deep, with a causeway 4.6m wide and undefended by a gate. 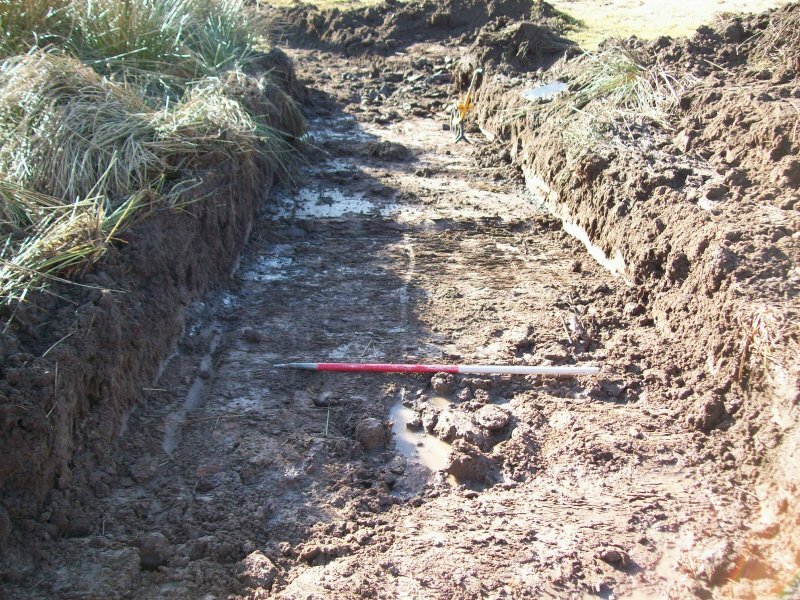 This ditch was deduced by Breeze to have formed an annexe but there was no internal evidence of occupation. 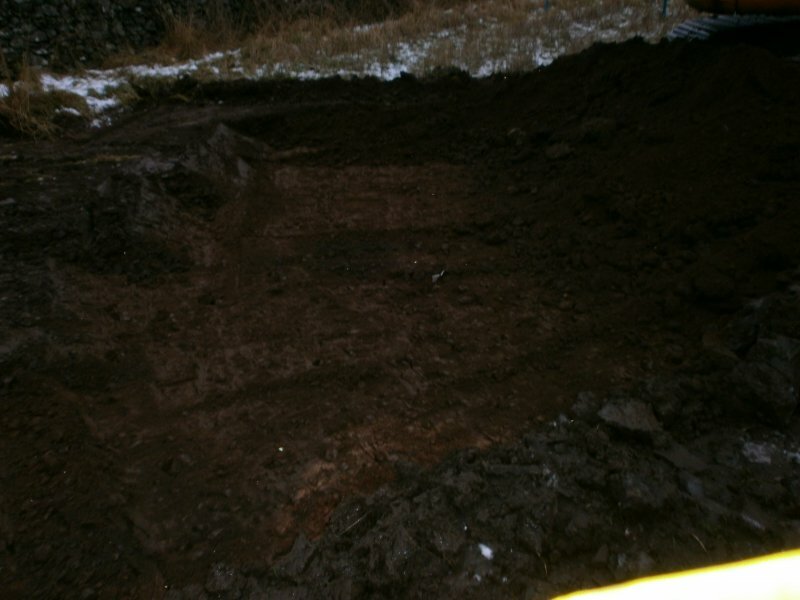 Another, shorter ditch crossed the area N of the fortlet at an angle. 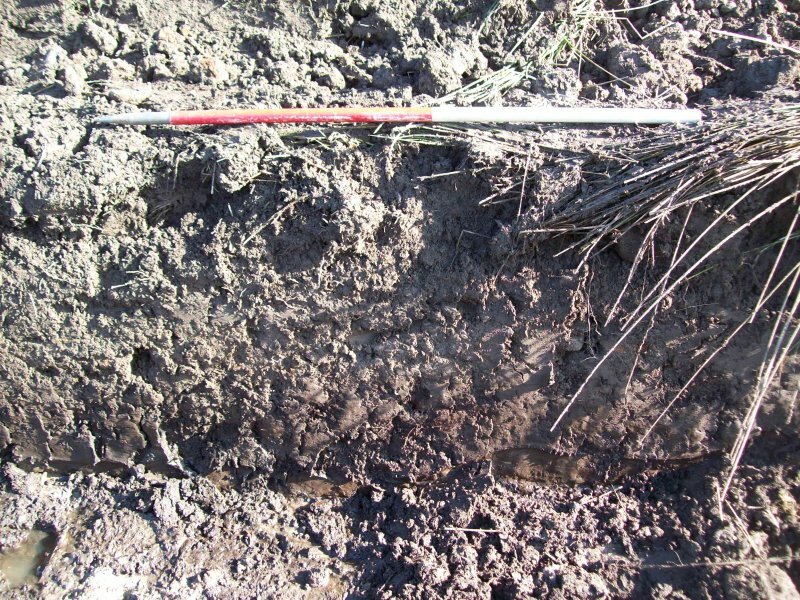 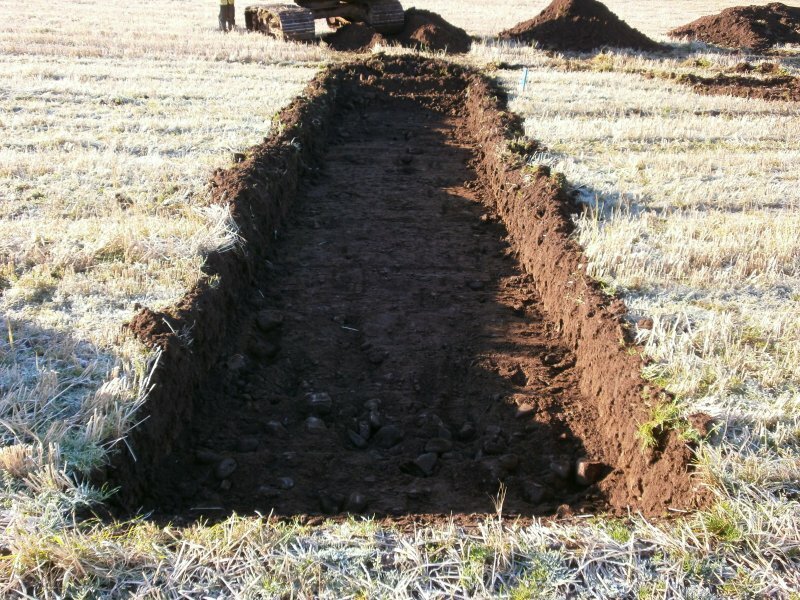 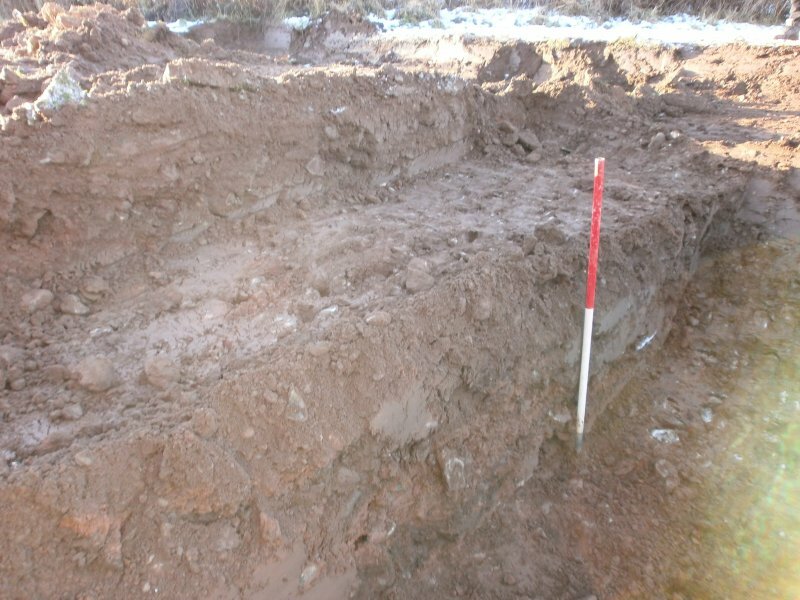 It was U-shaped in section, 2.2m wide and 1.0m deep. 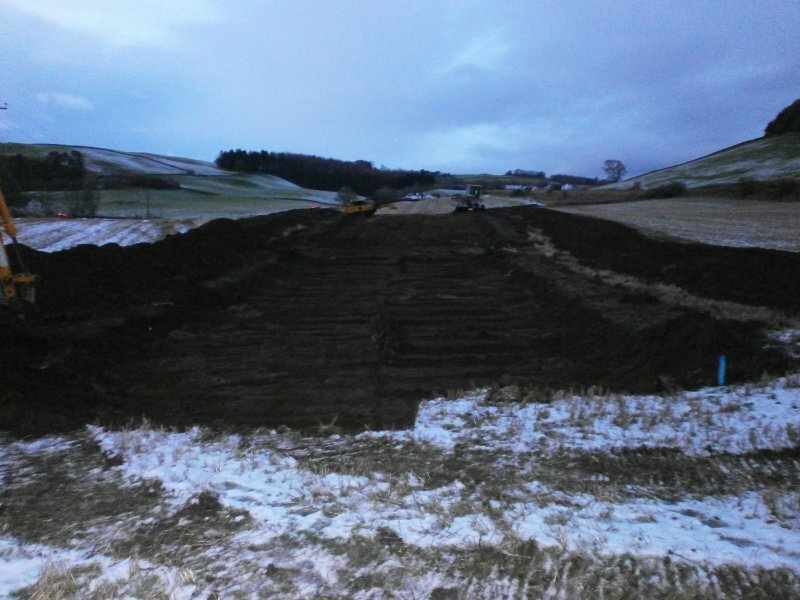 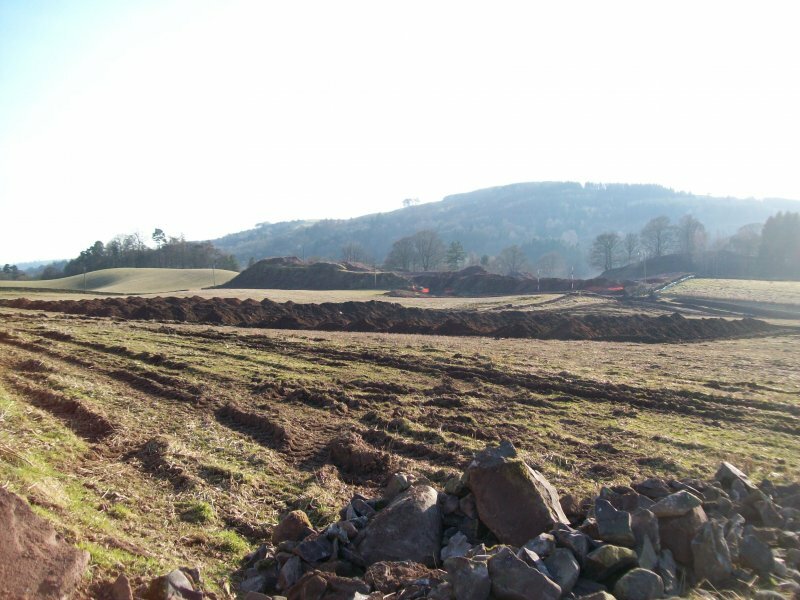 Quarry operations have removed the whole of the N. side of the fortlet and much of its S side. 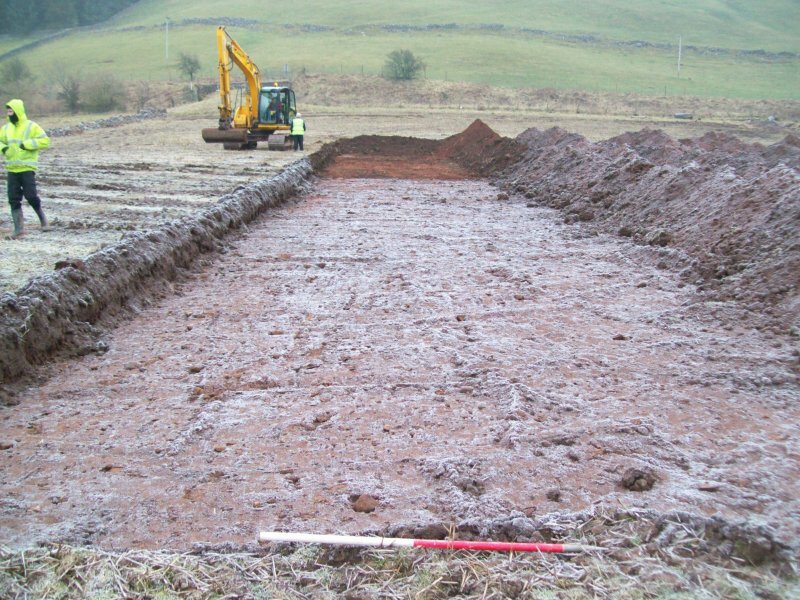 The remaining unquarried portion of the site has had the topsoil removed and all surface indications of the fortlet have now gone. 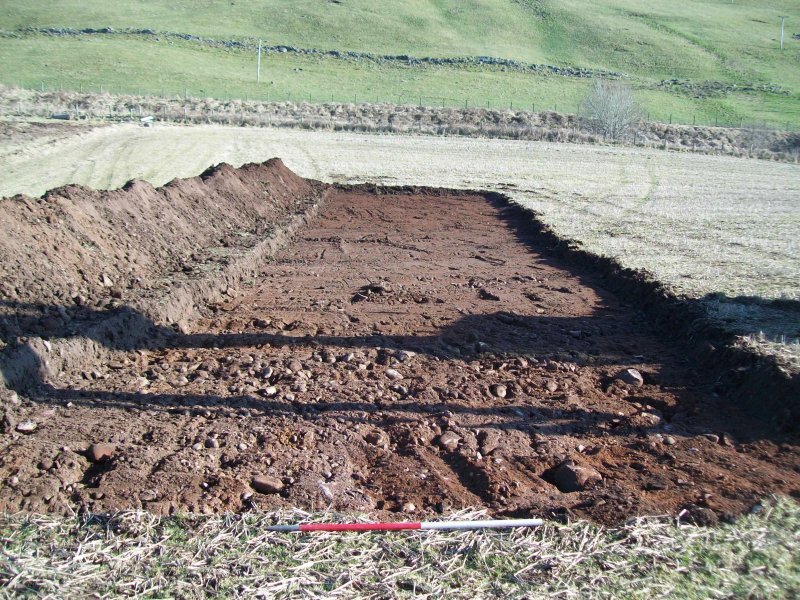 Traces of a back-filled excavation trench along the S side approximates to the line of the fortlet ditch as shown on Breeze's plan. 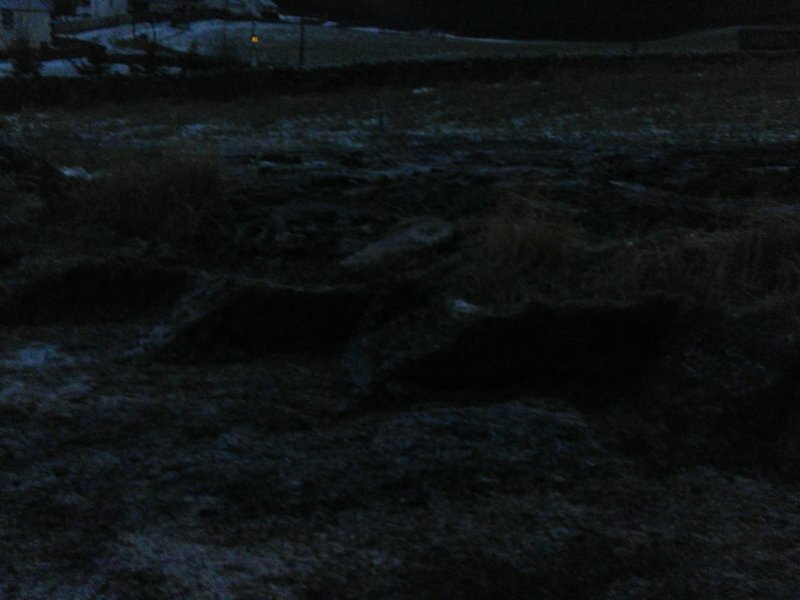 Visited by OS (ECW) 1 August 1974. 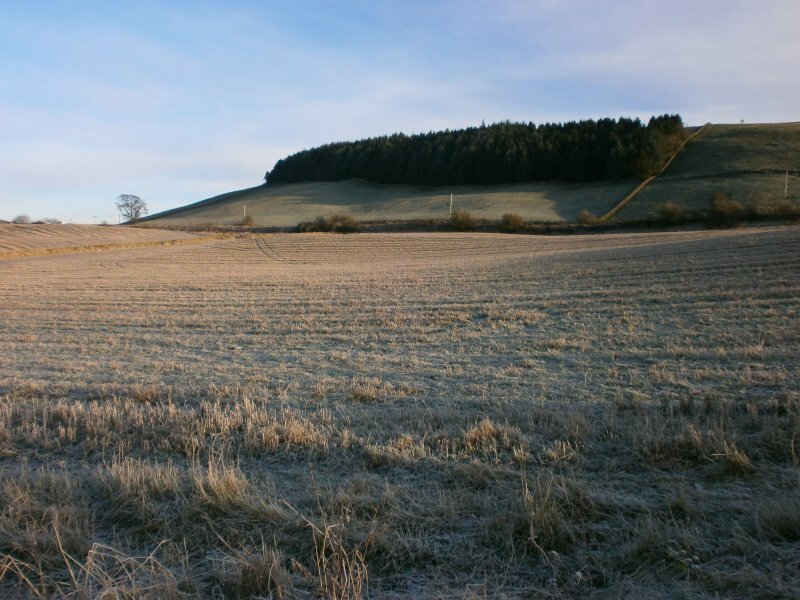 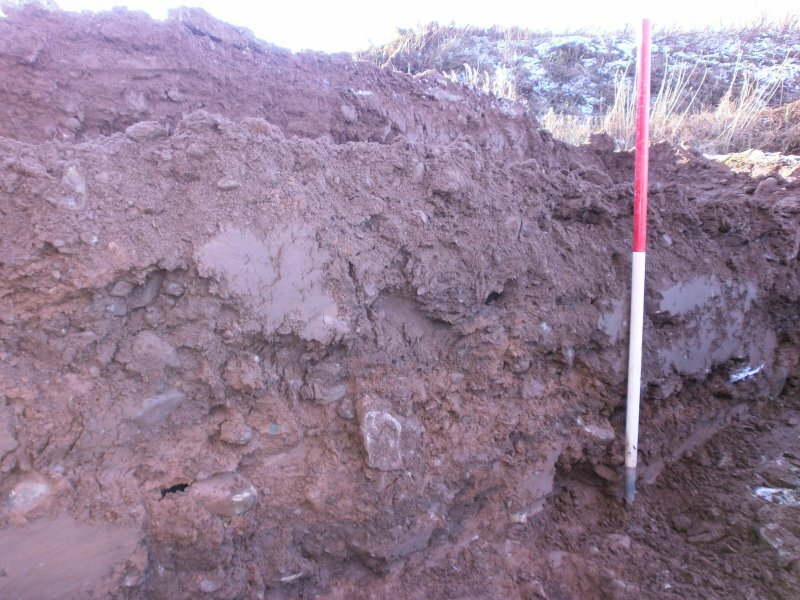 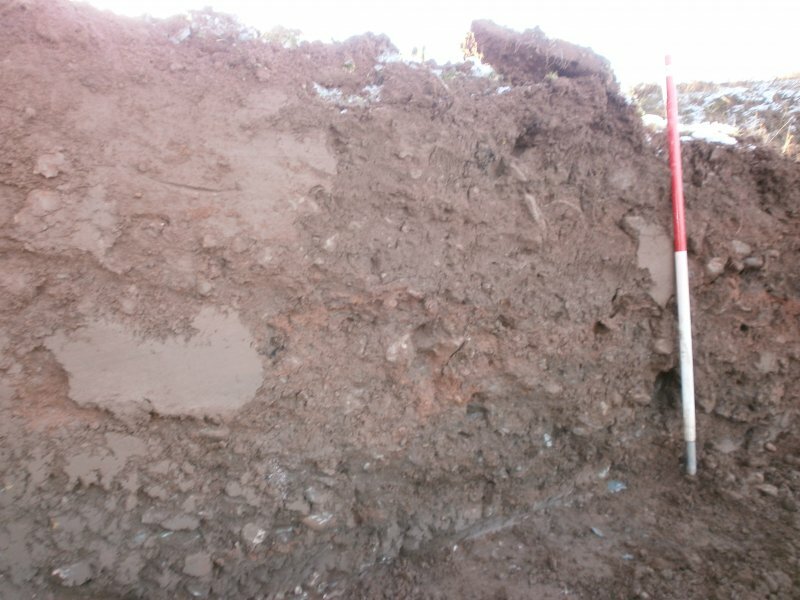 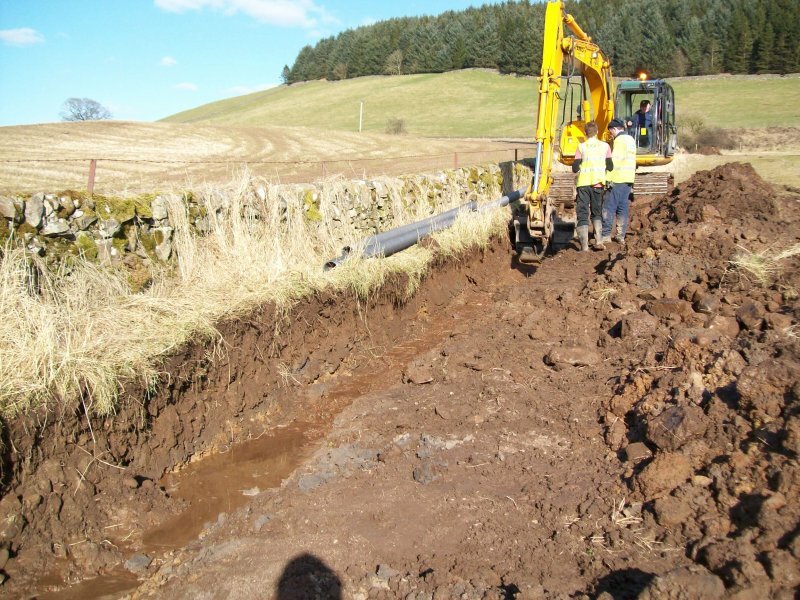 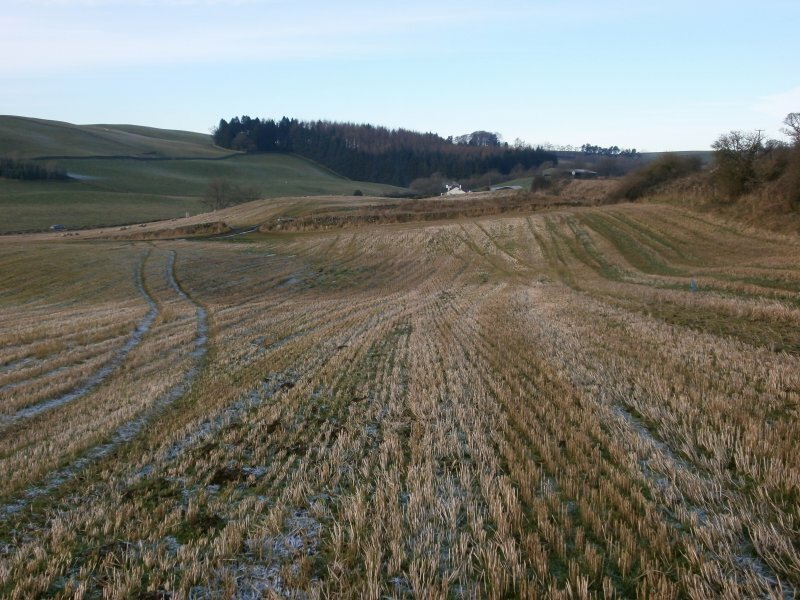 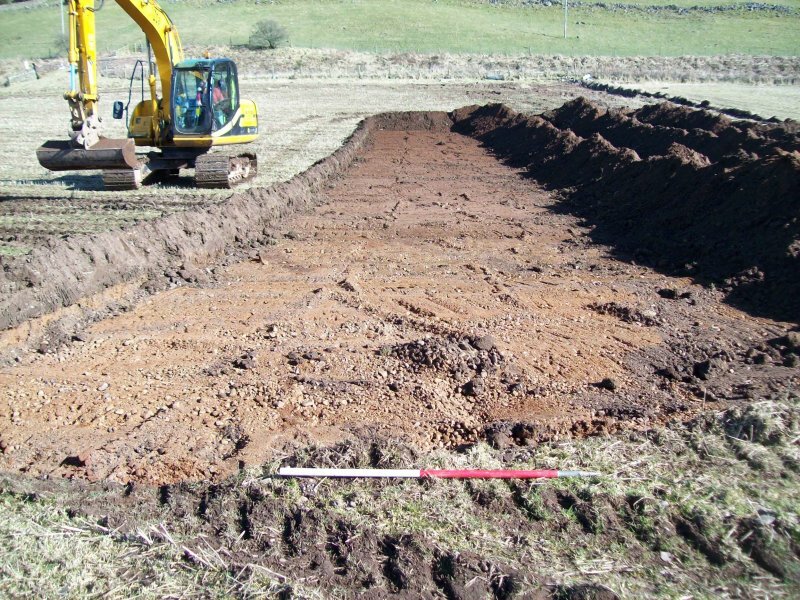 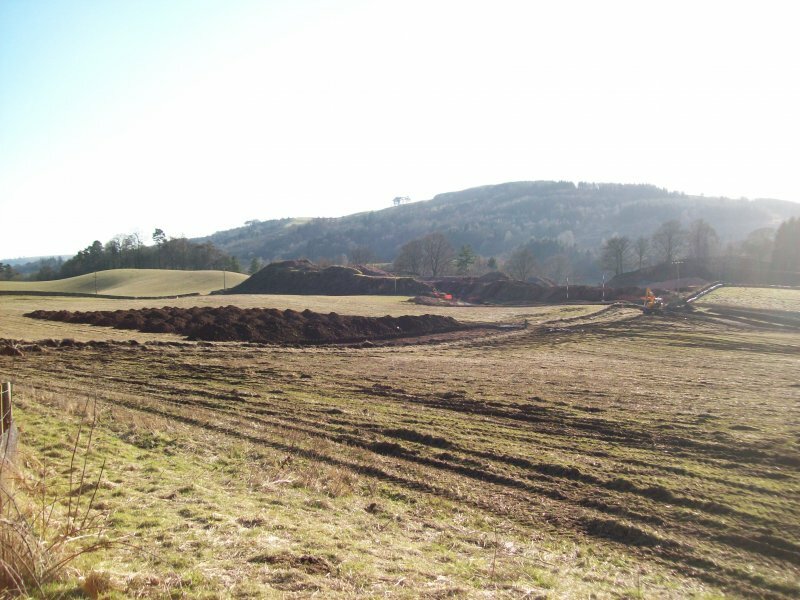 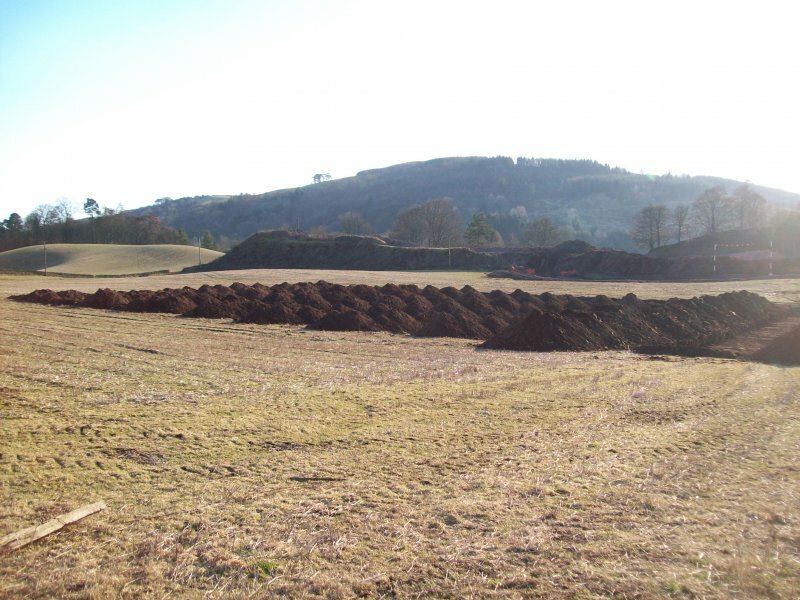 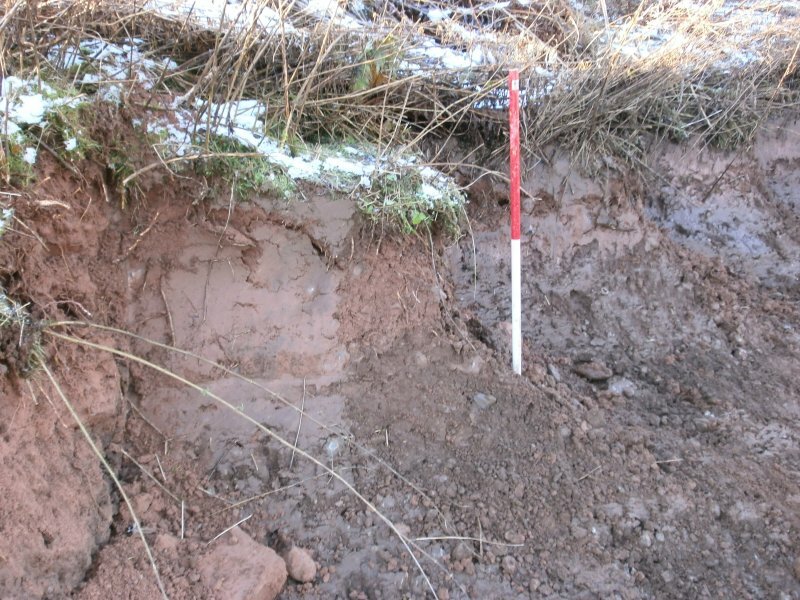 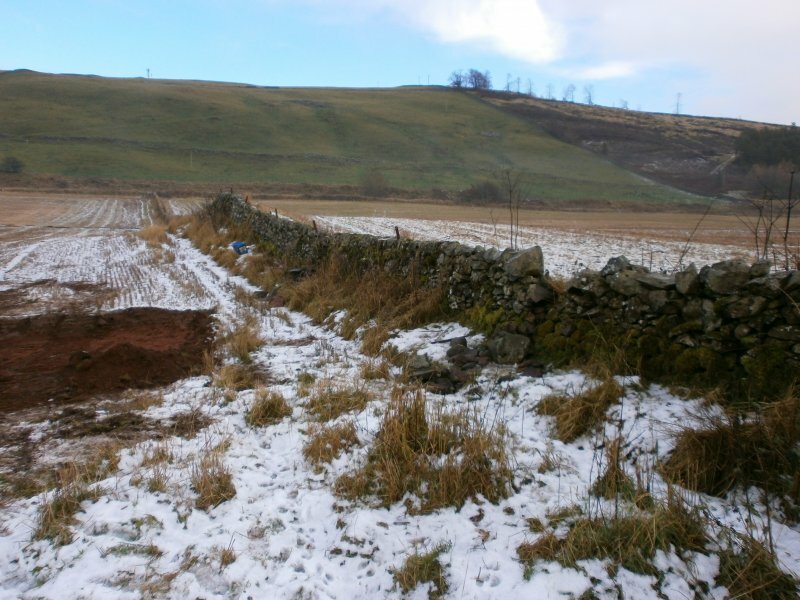 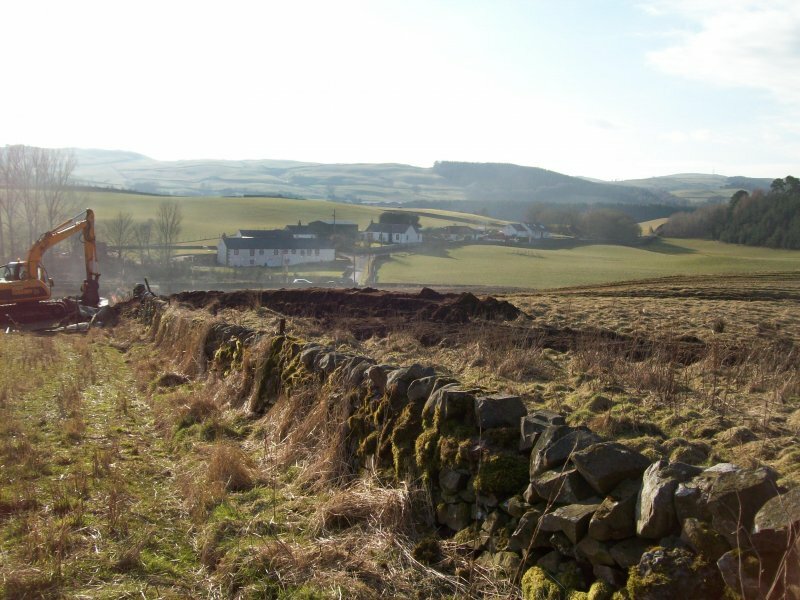 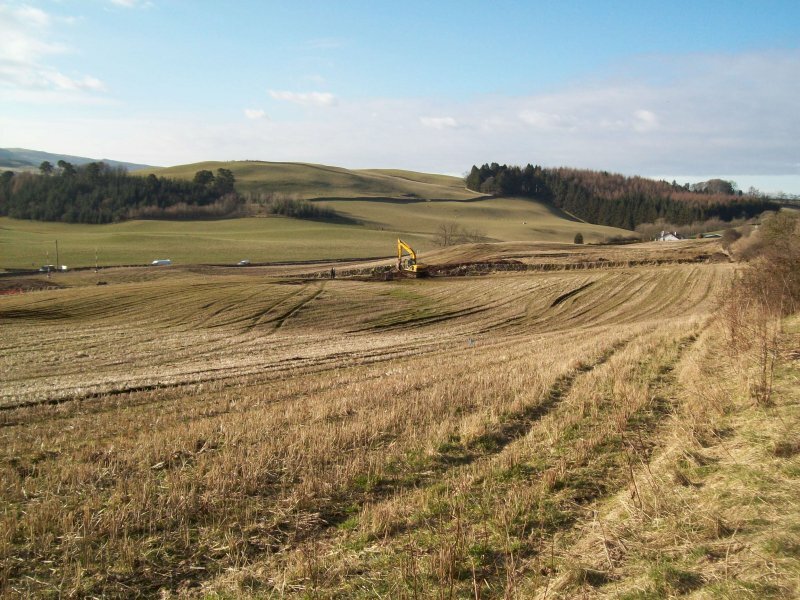 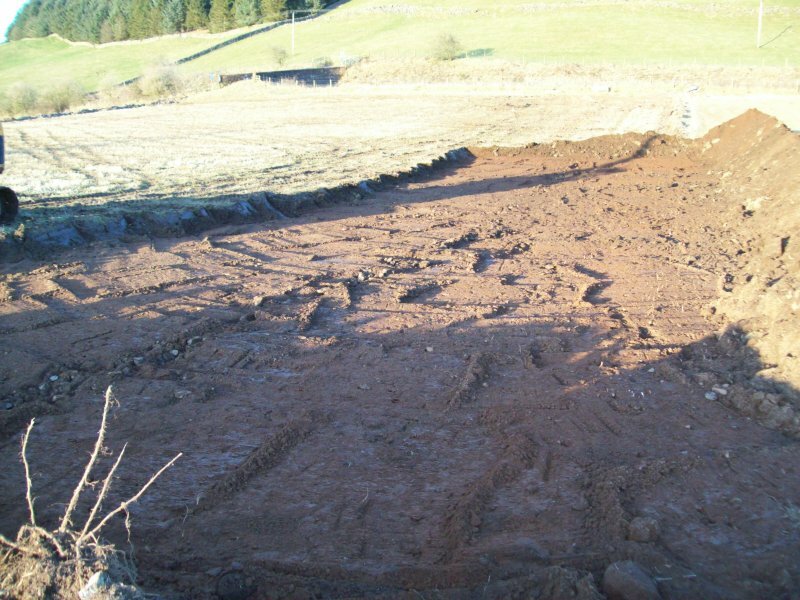 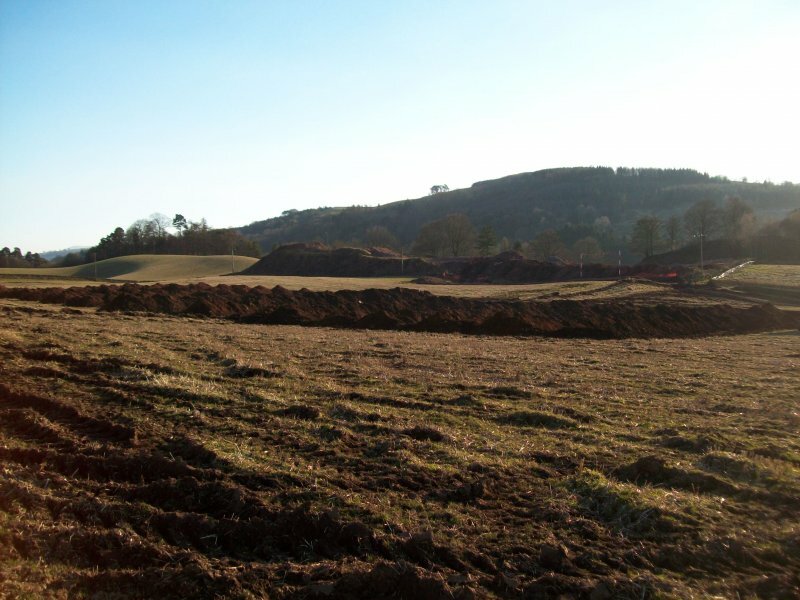 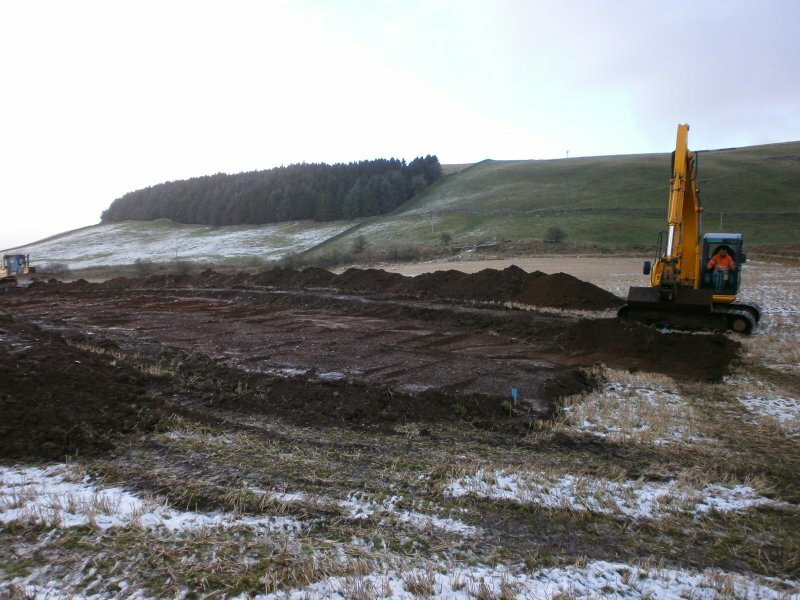 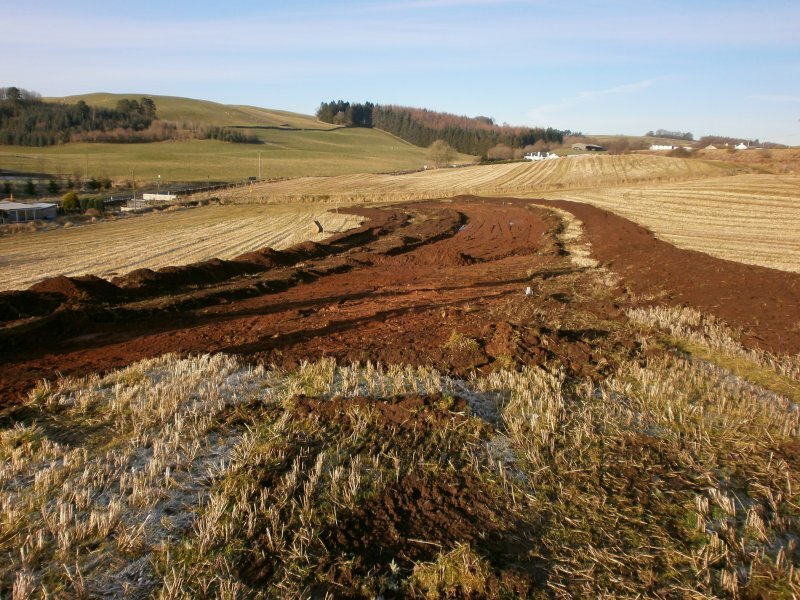 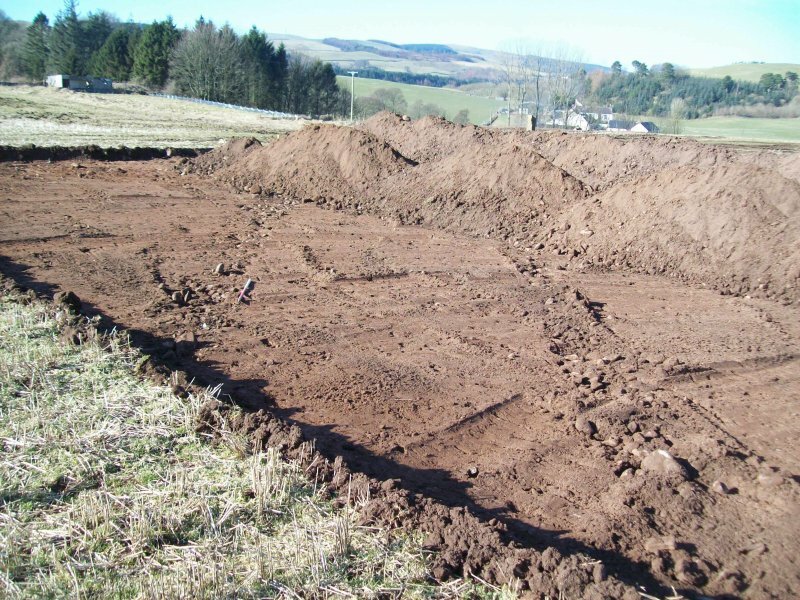 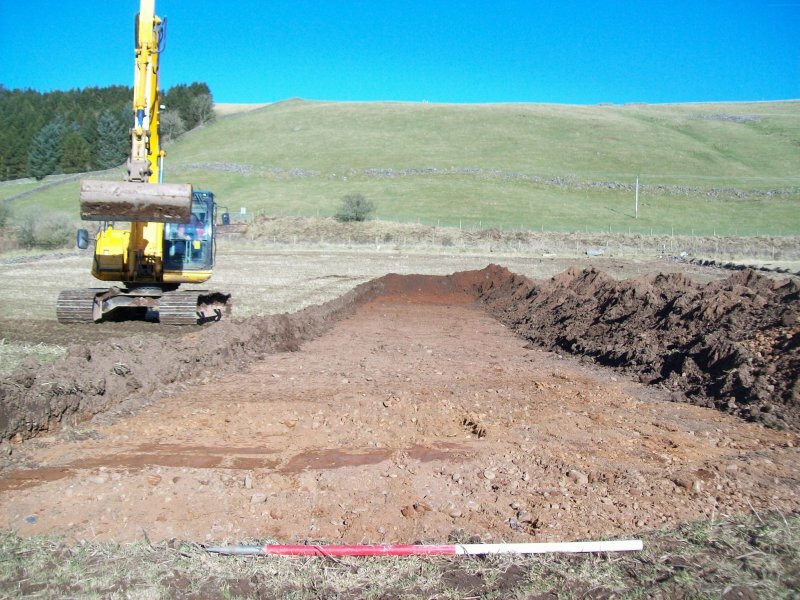 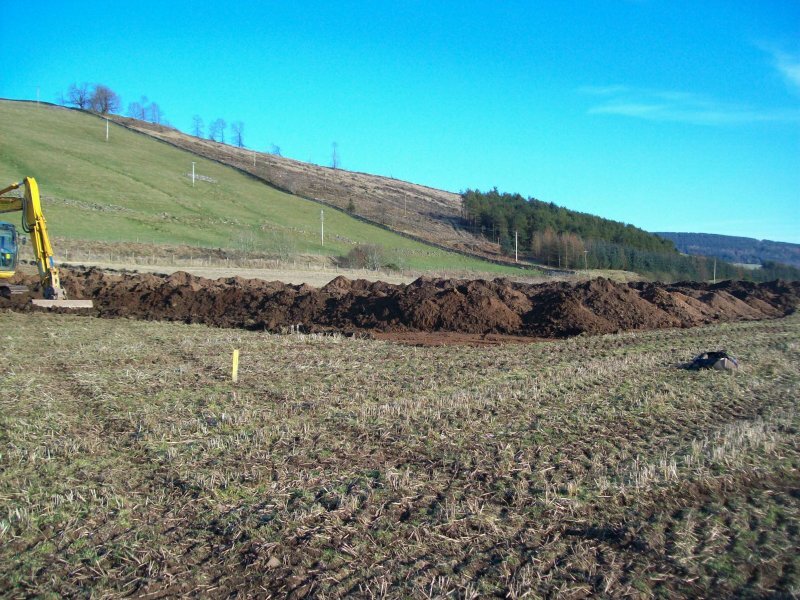 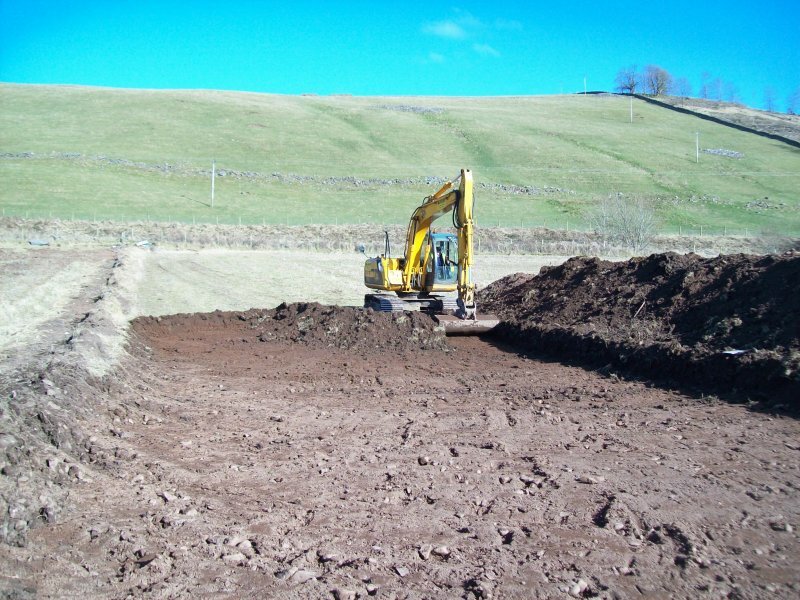 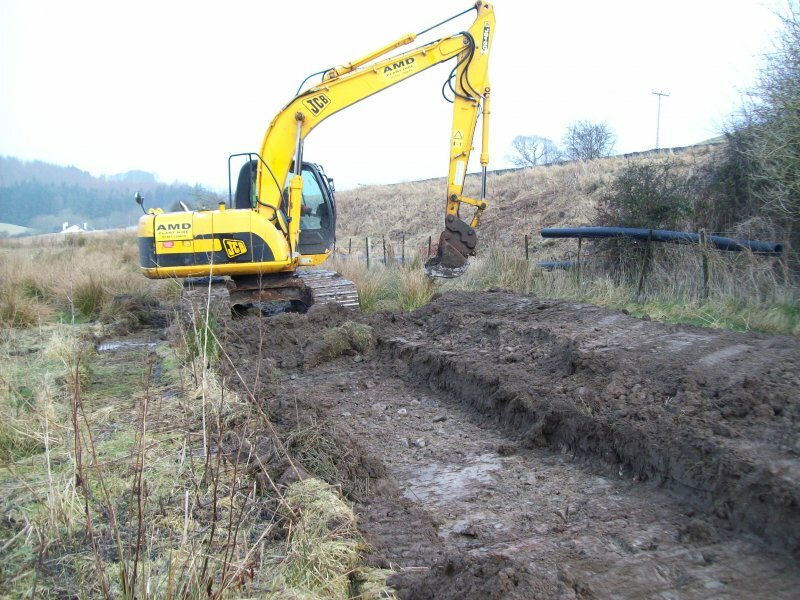 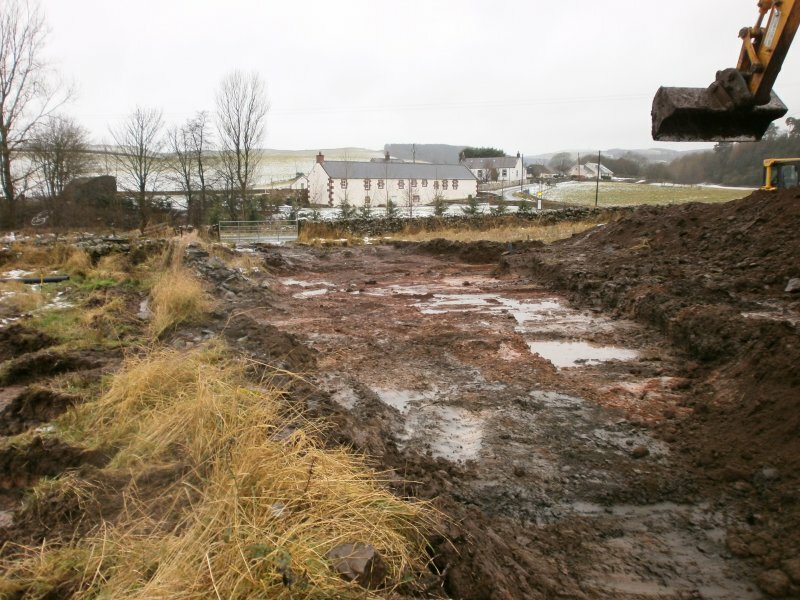 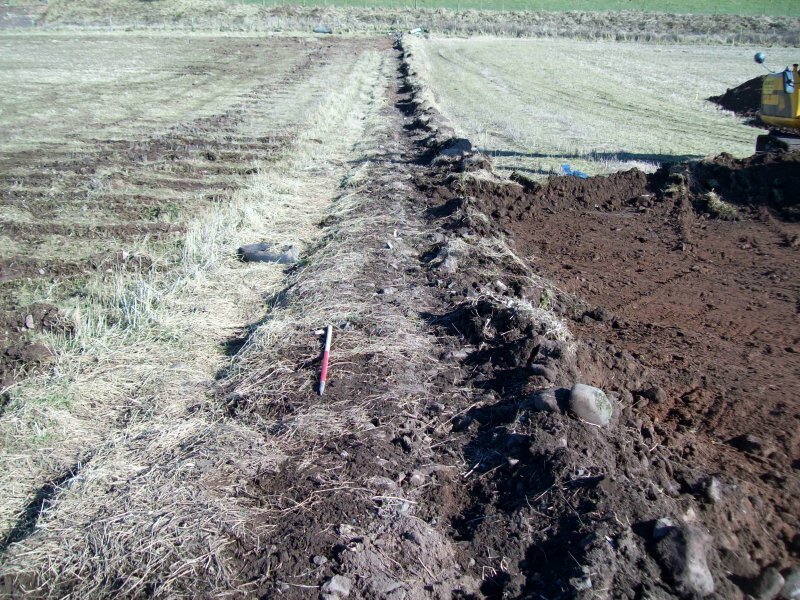 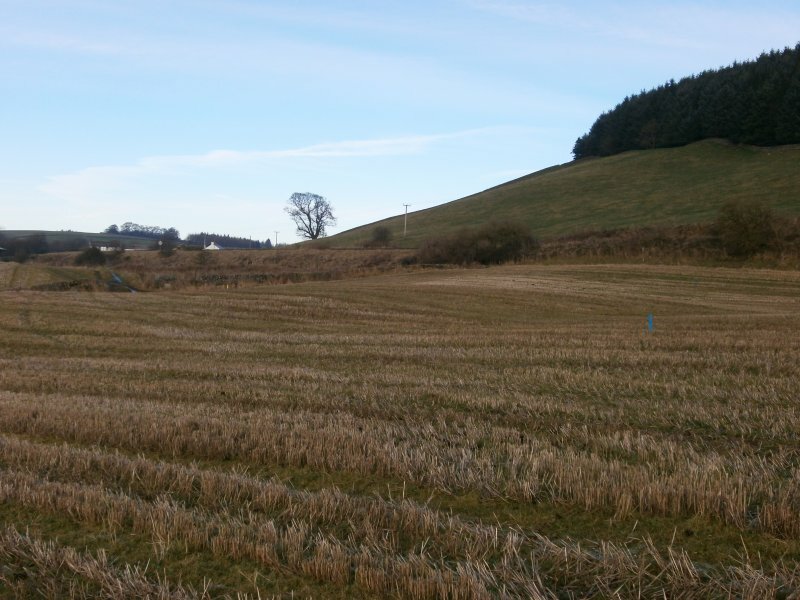 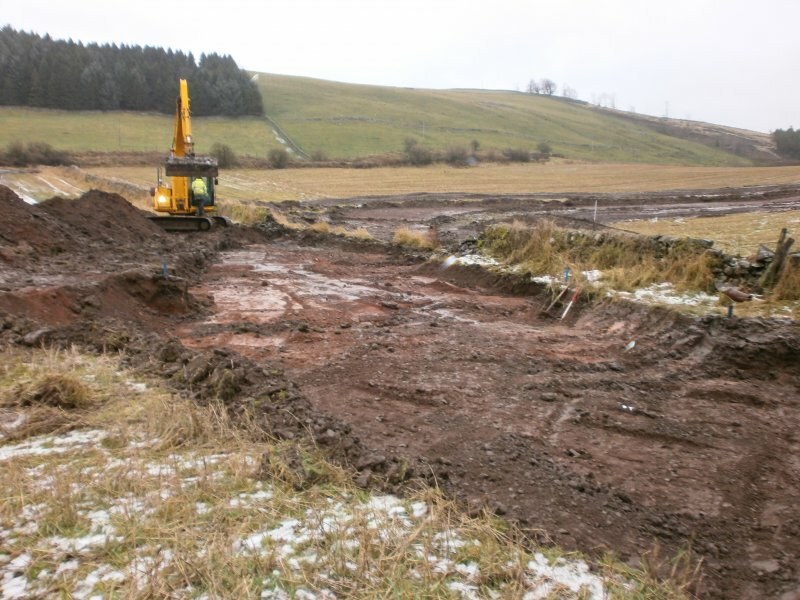 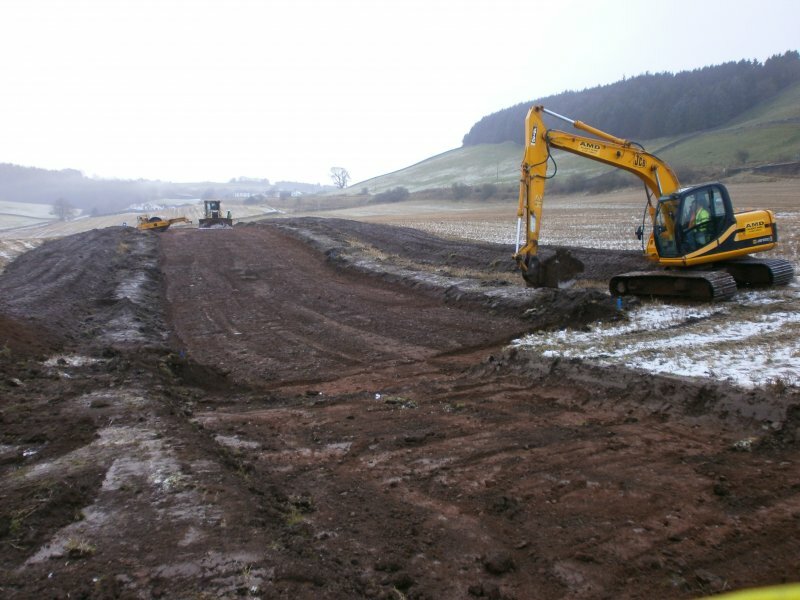 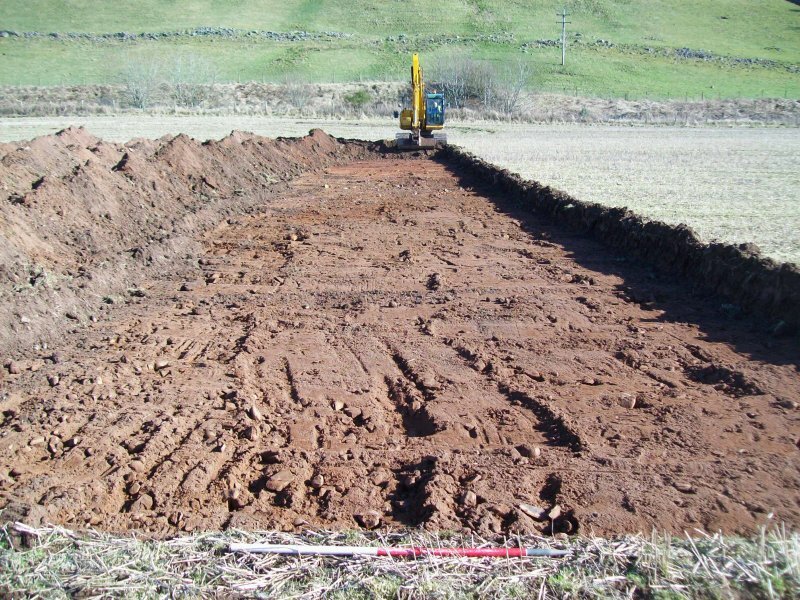 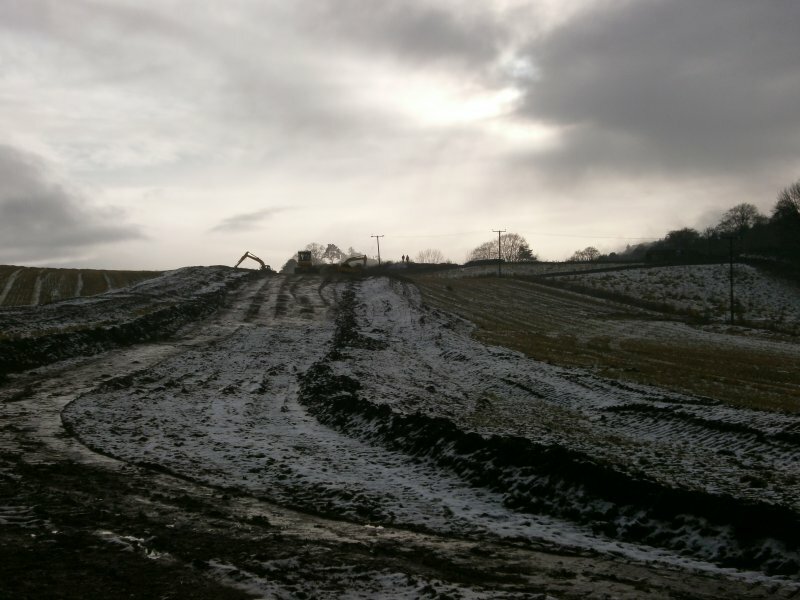 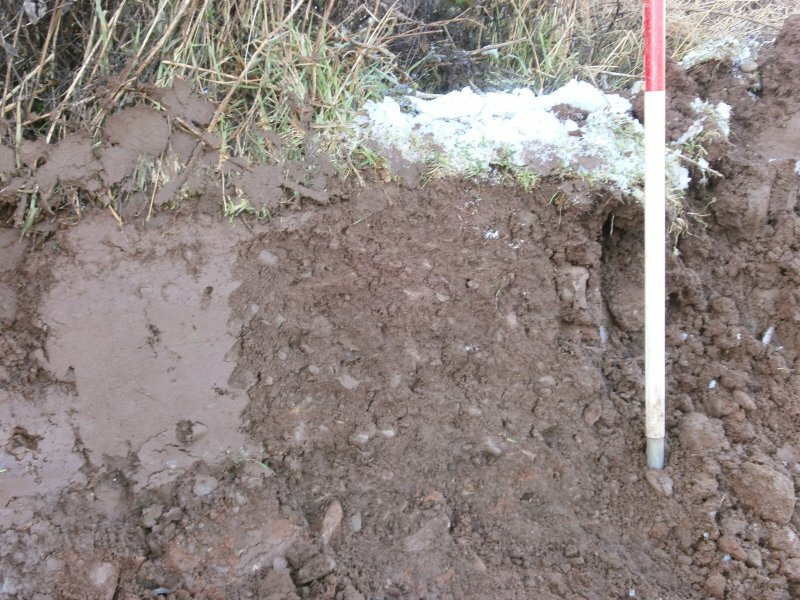 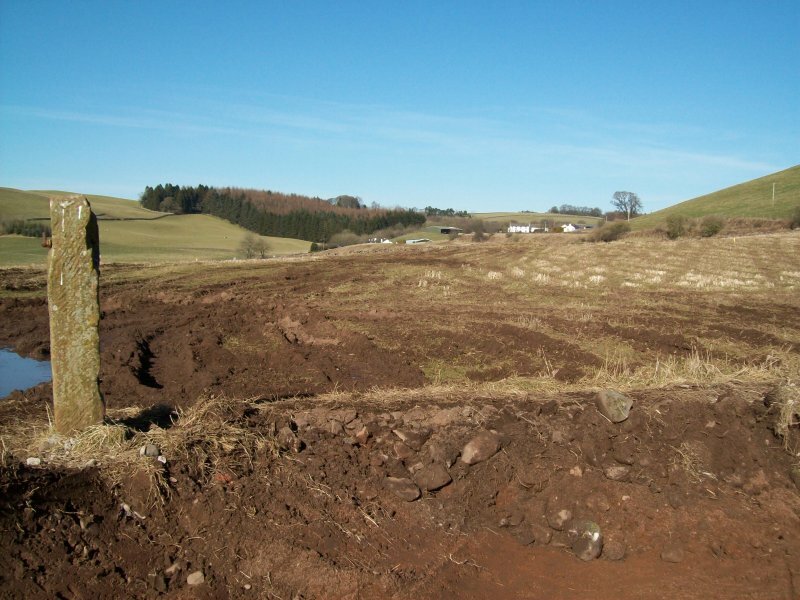 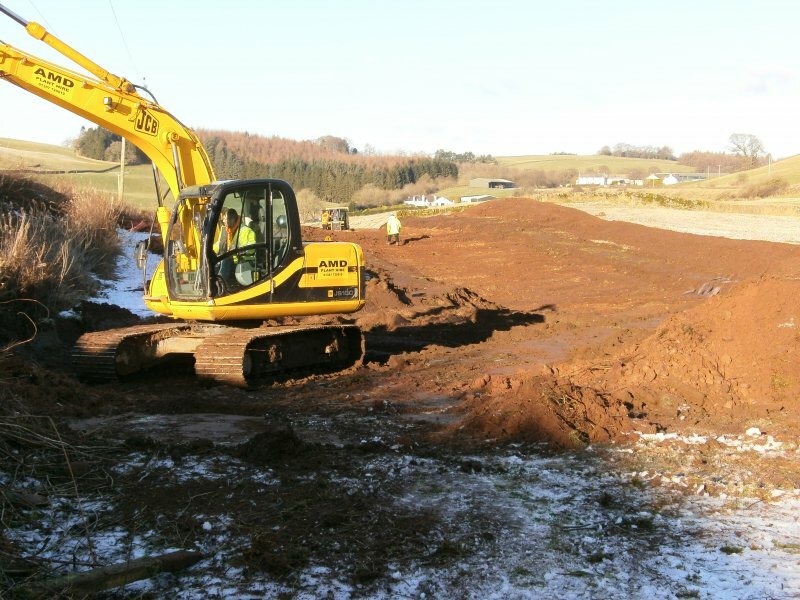 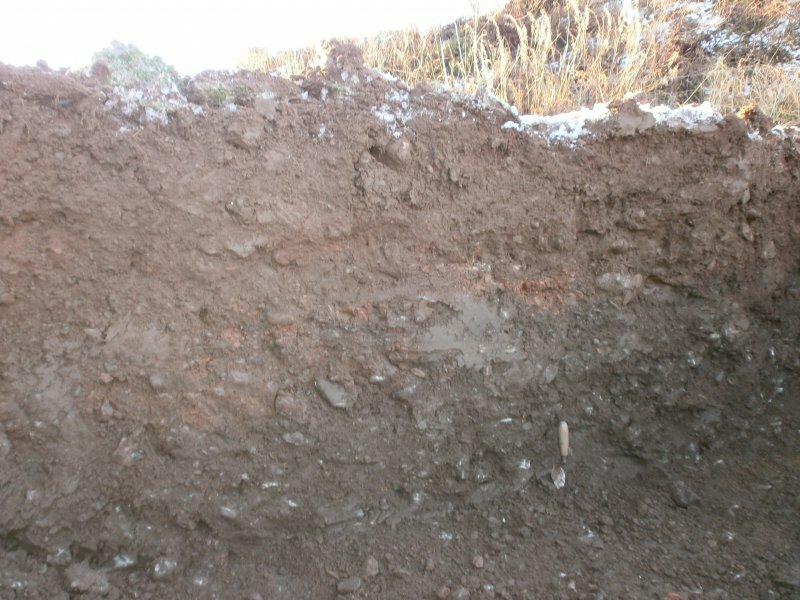 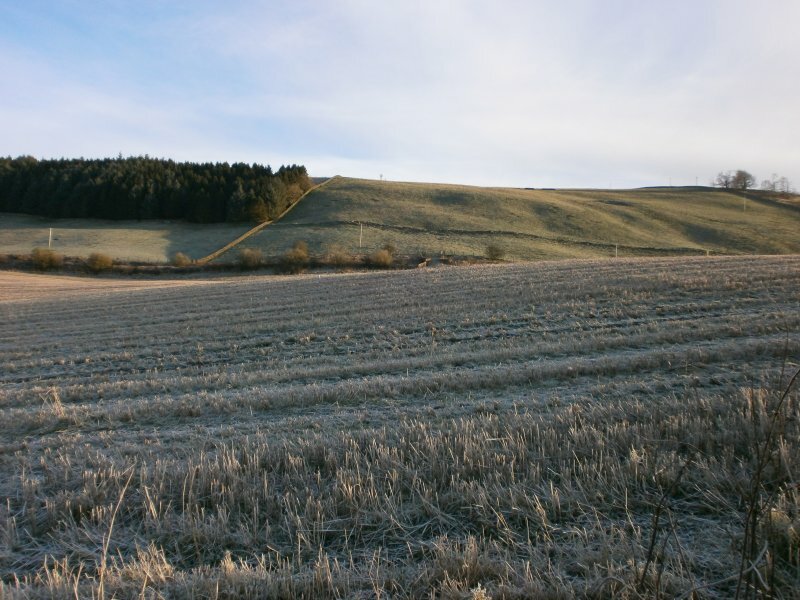 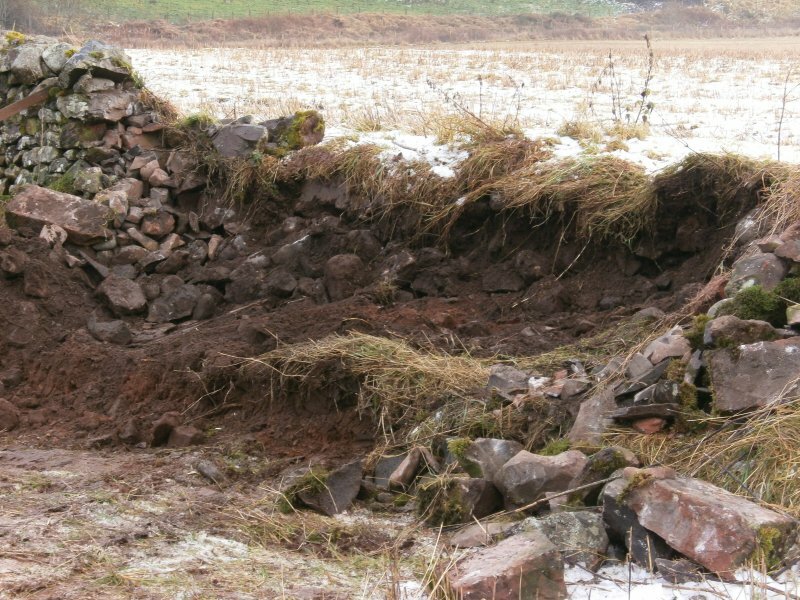 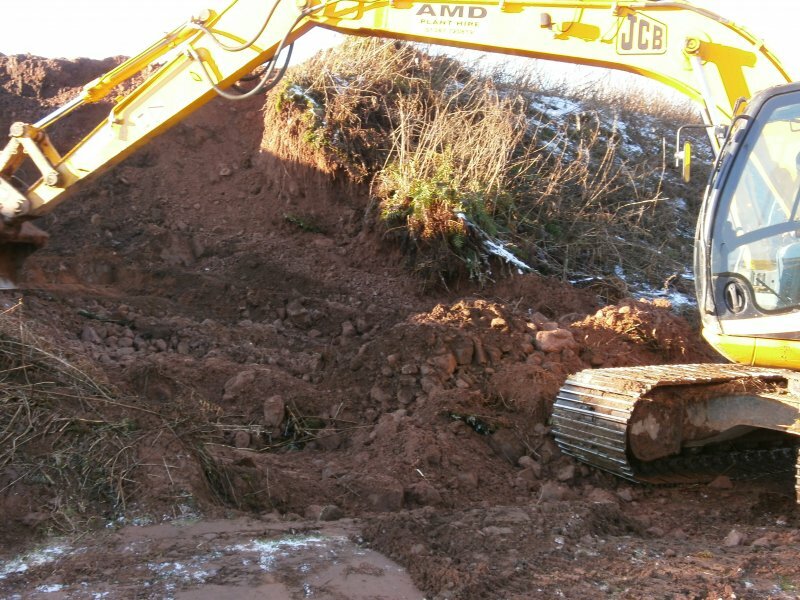 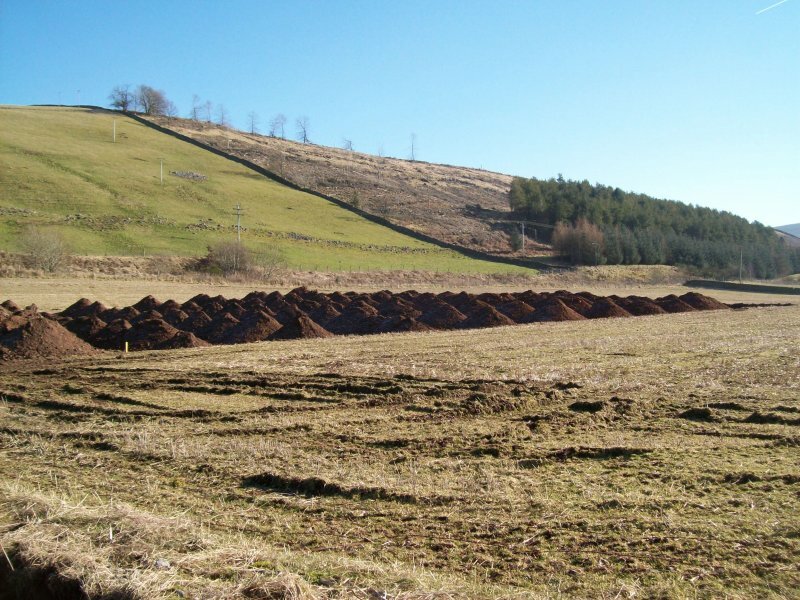 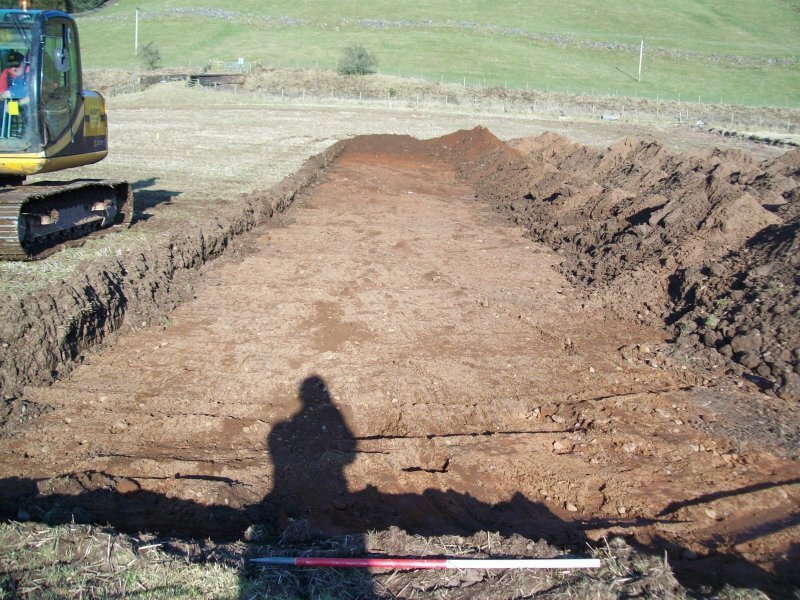 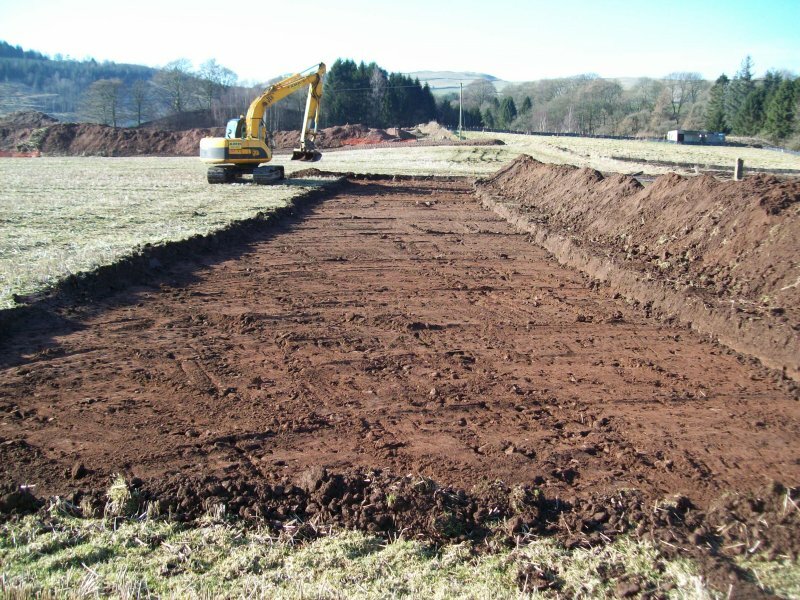 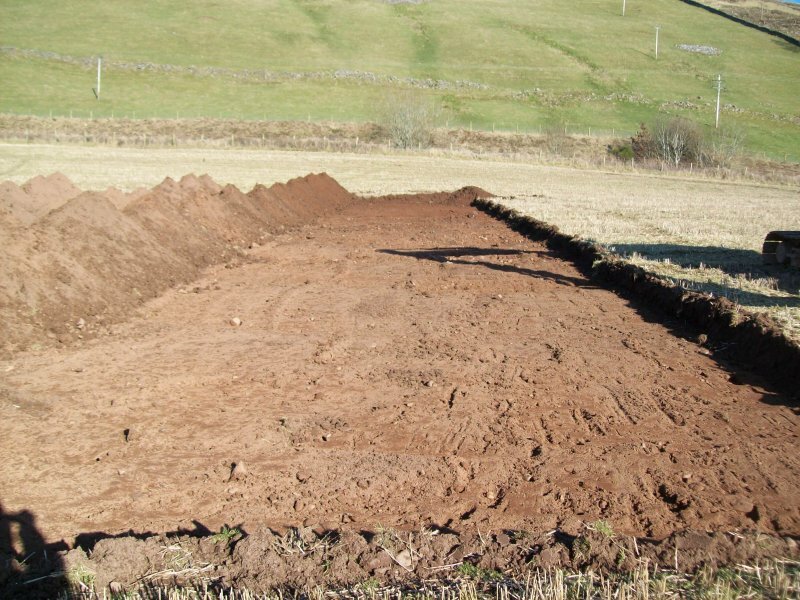 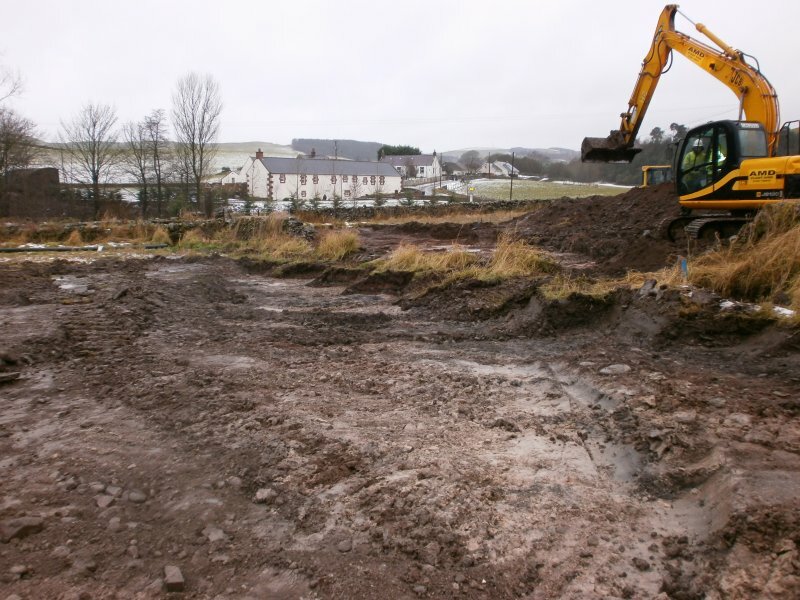 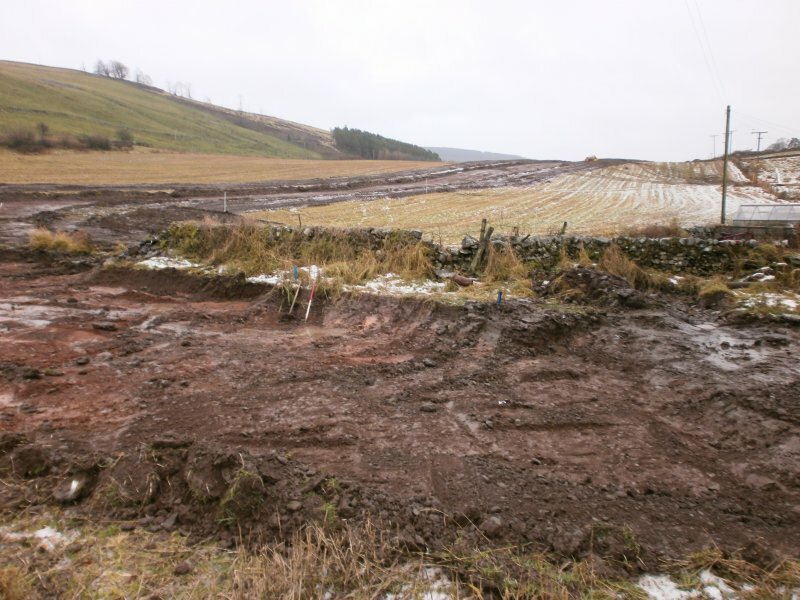 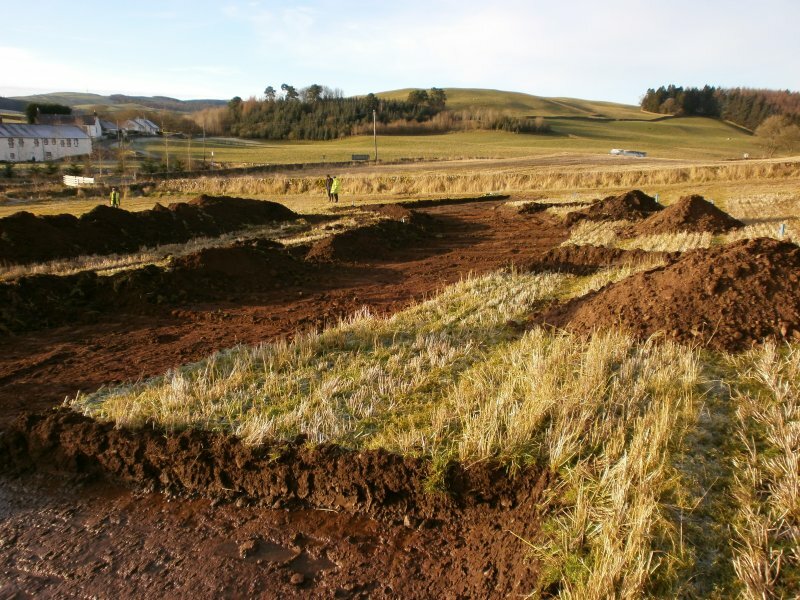 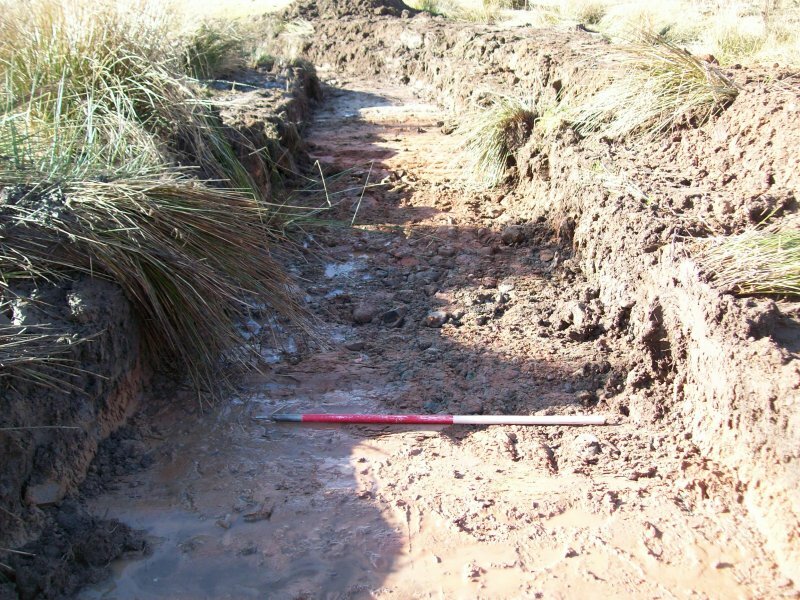 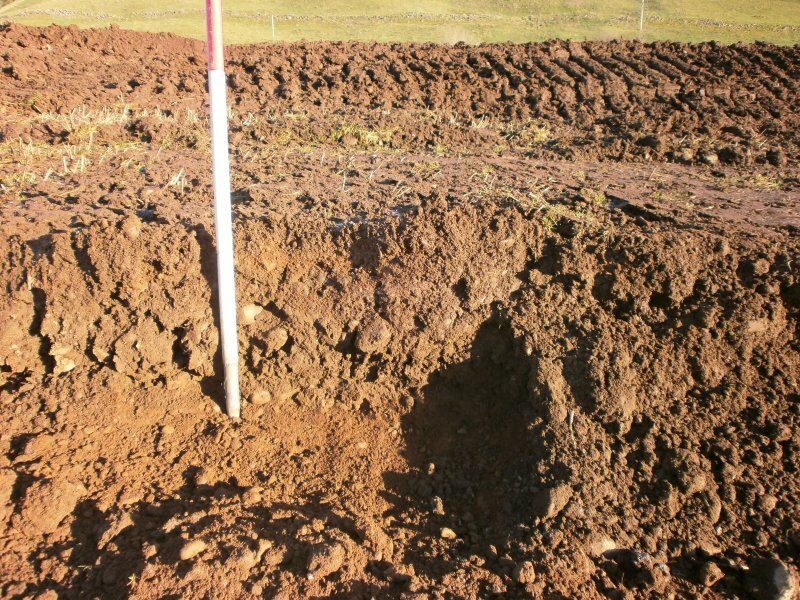 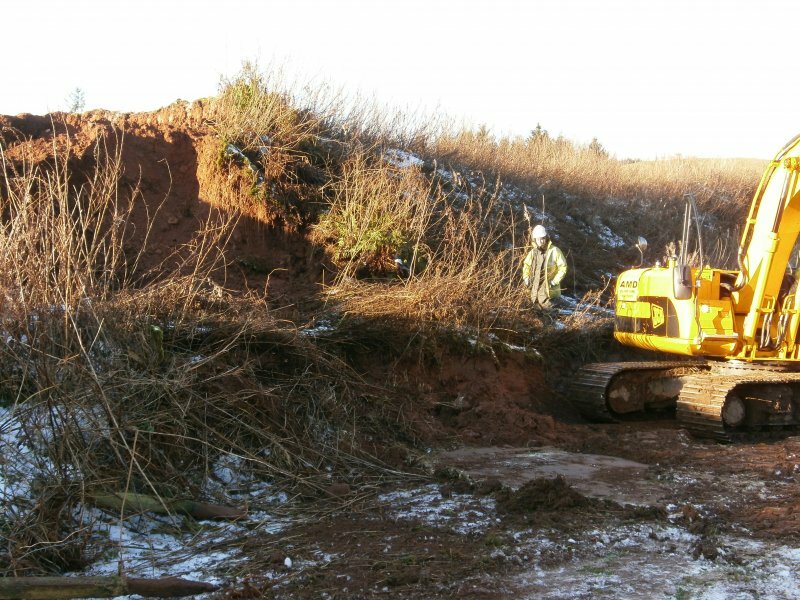 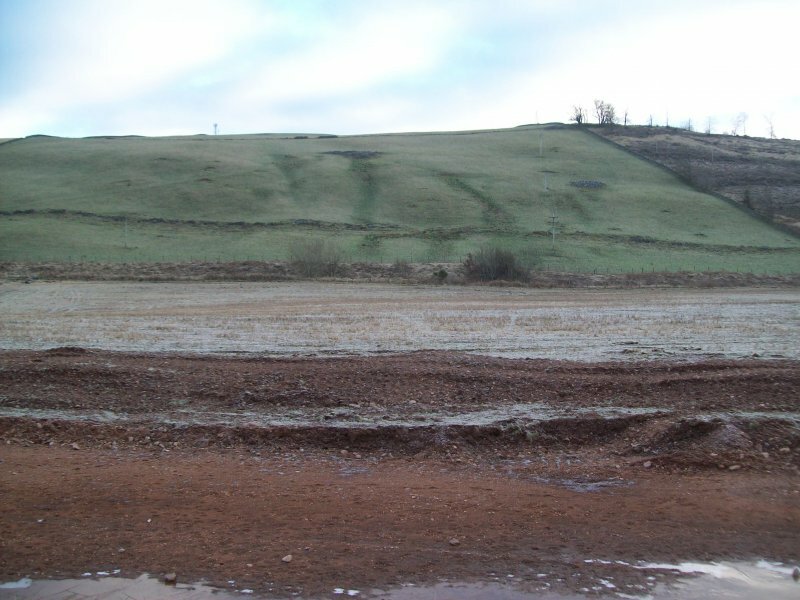 Archaeological monitoring works were carried out in respect to the overburden stripping for extraction works at Barburgh Mill Quarry Extension, near Auldgirth, Dumfries and Galloway. 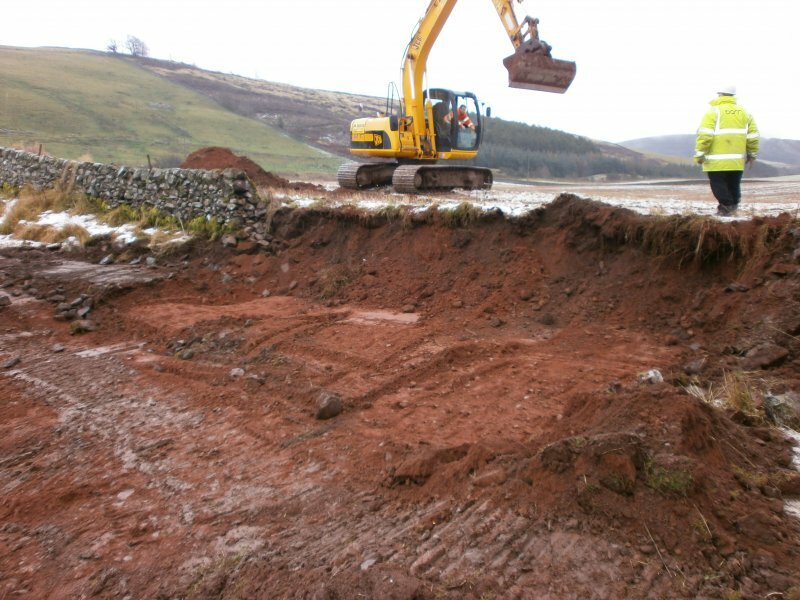 The archaeological works were designed to mitigate the impact on the archaeological remains within their development area. 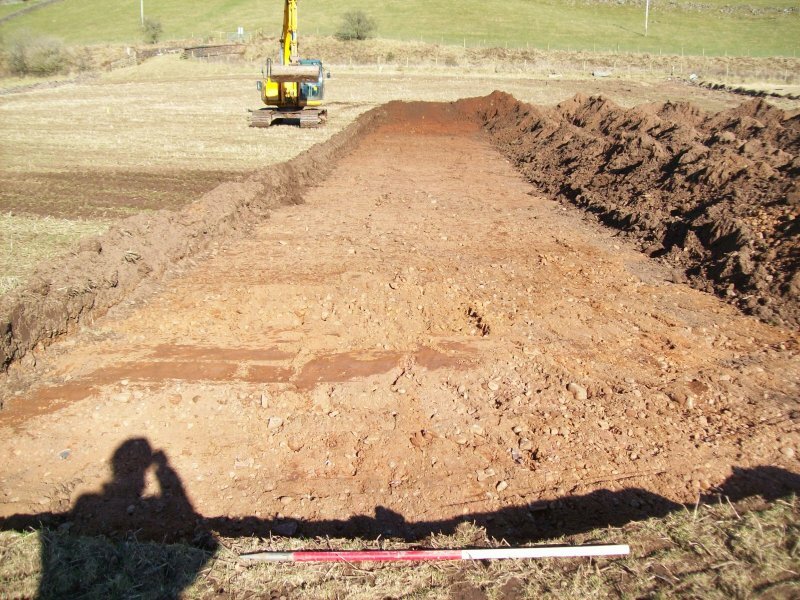 The presence of known archaeological sites in the close vicinity of the development area, including a Roman fortlet and a Scheduled Monument, suggested the potential for archaeological features including the possibility for a Roman road. 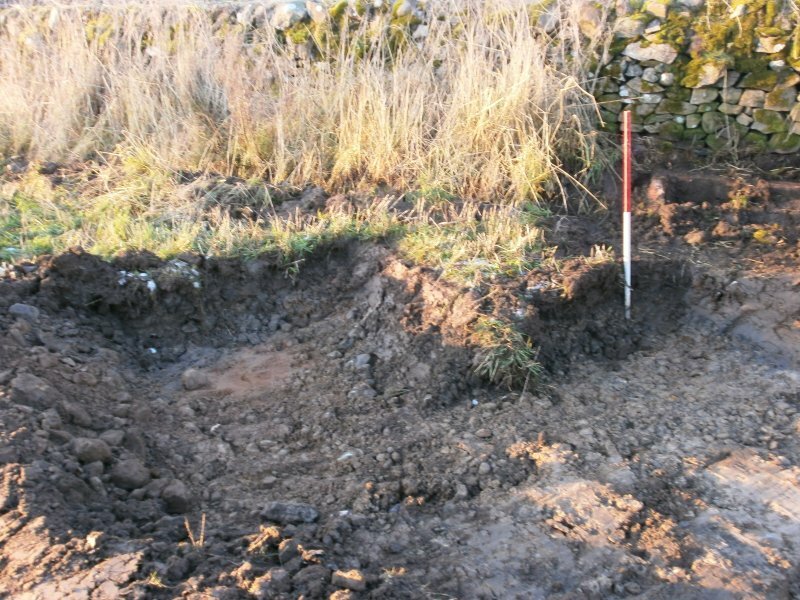 Unfortunately, monitoring works along a new access road and across areas of the development failed to identify the presence of any significant archaeological features; the area only showing evidence of modern 19th and 20th century activity relating to the land's use for agriculture and disturbance from the current quarry. 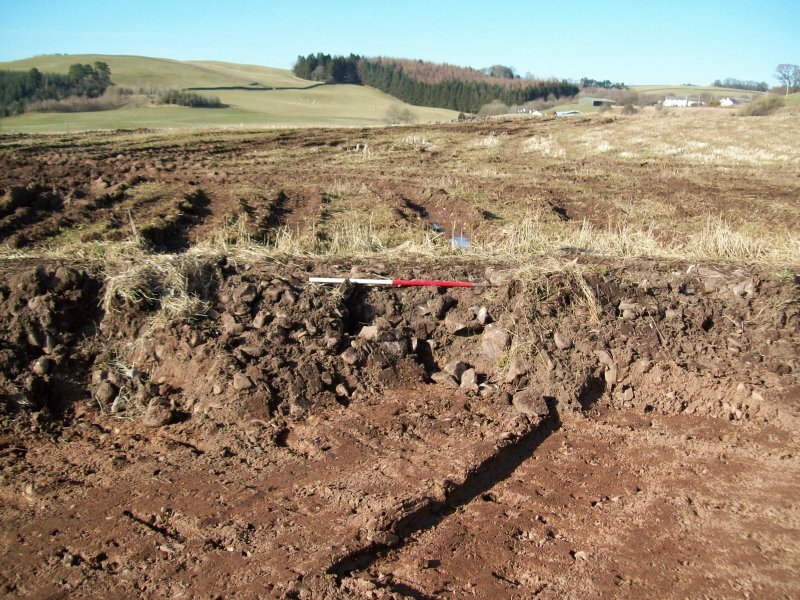 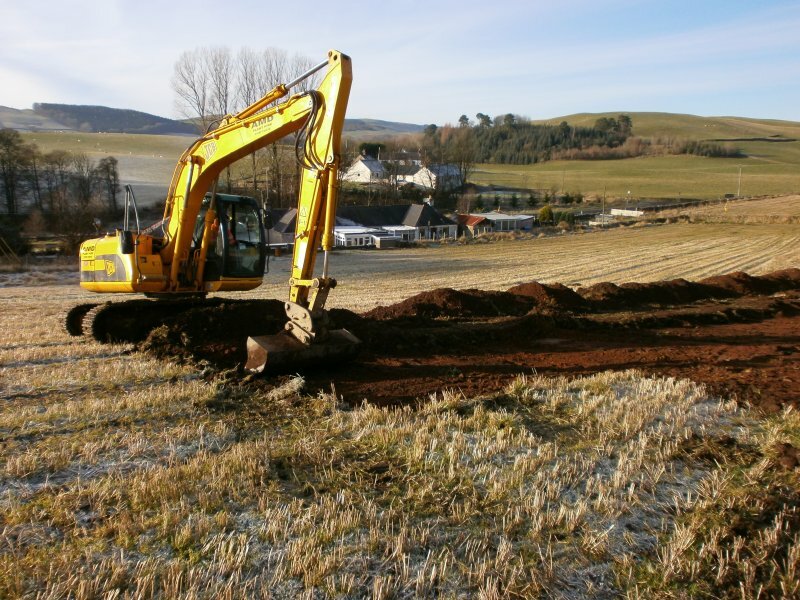 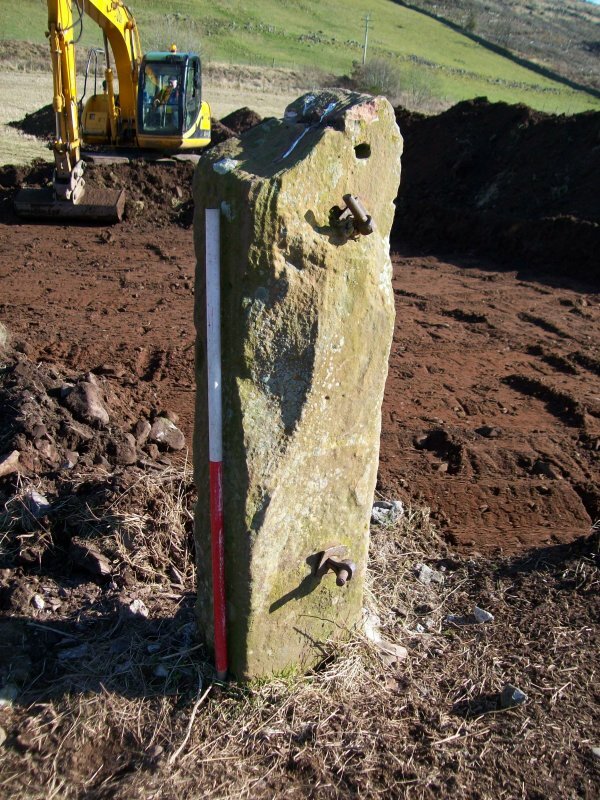 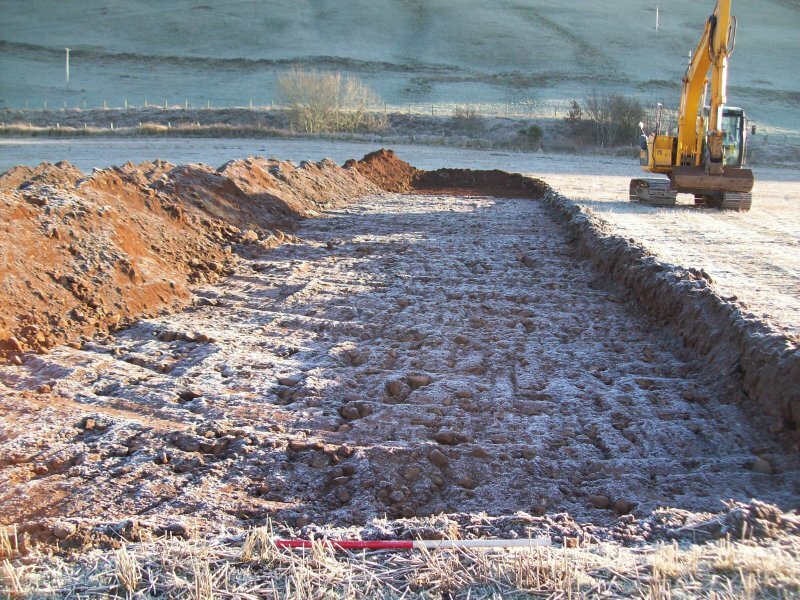 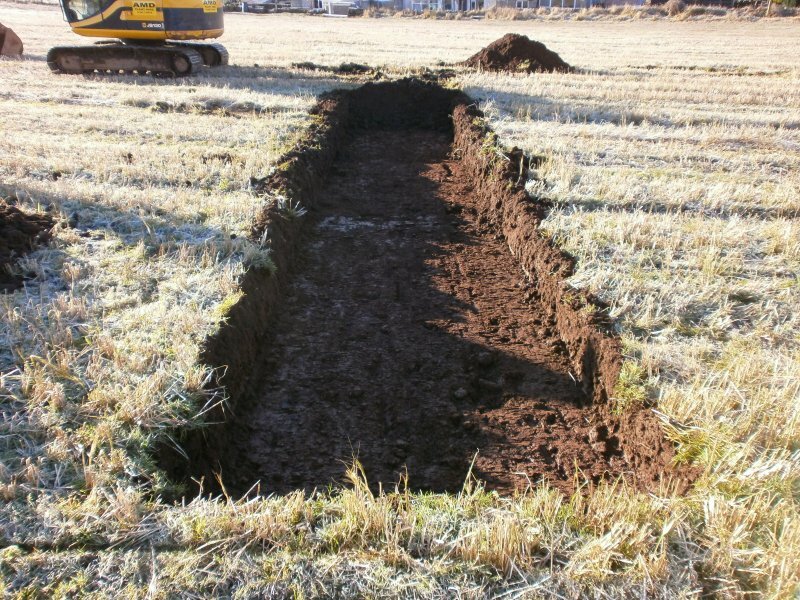 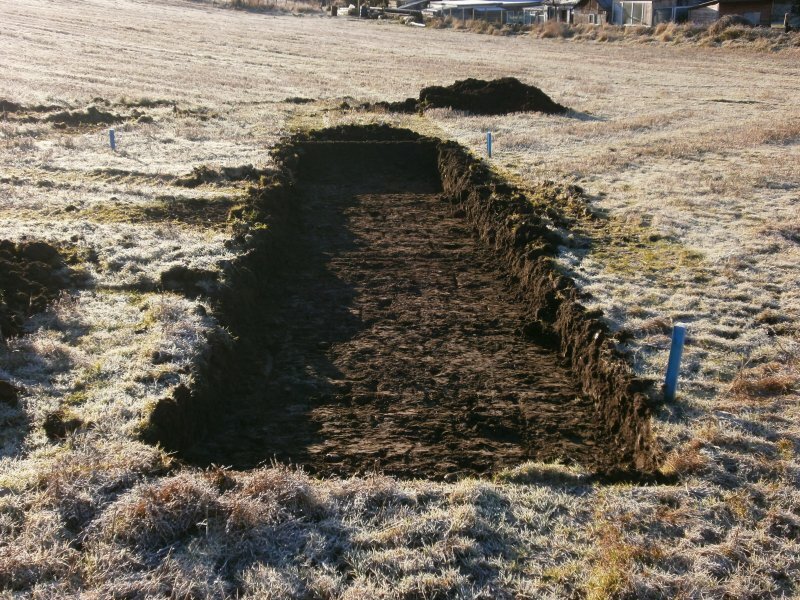 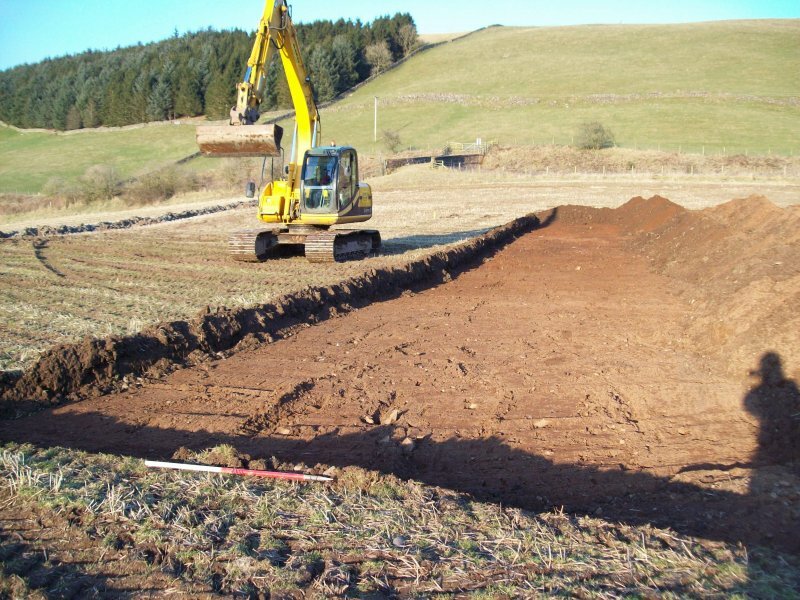 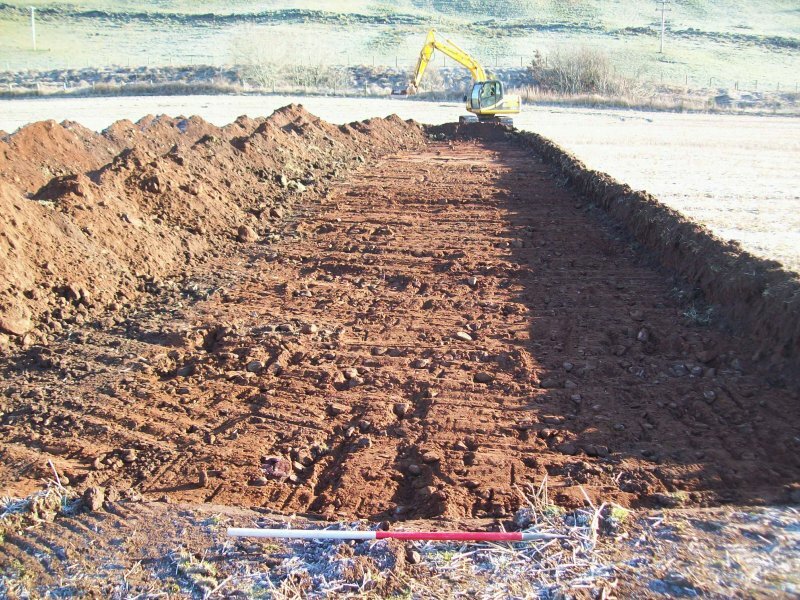 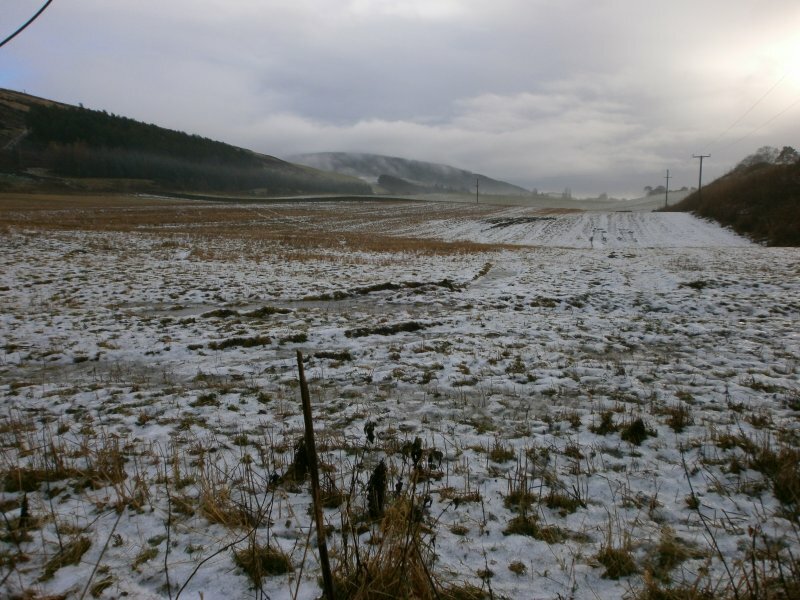 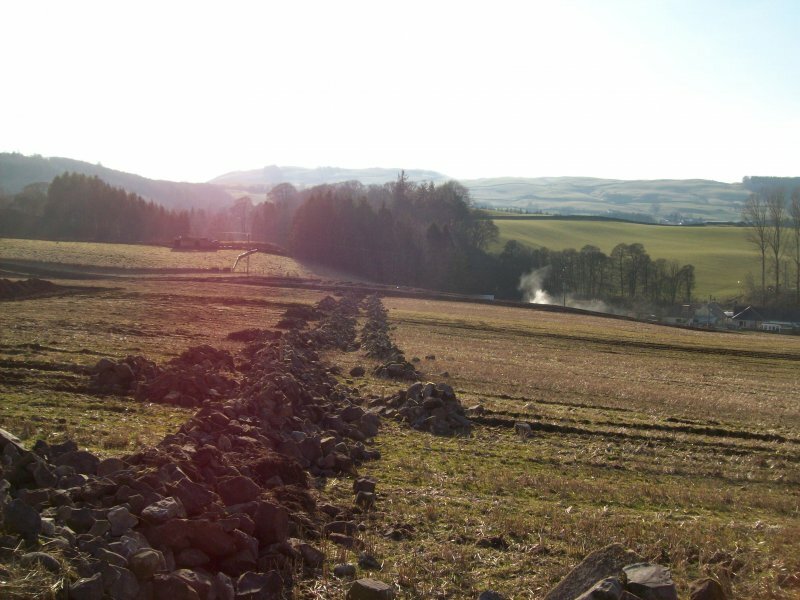 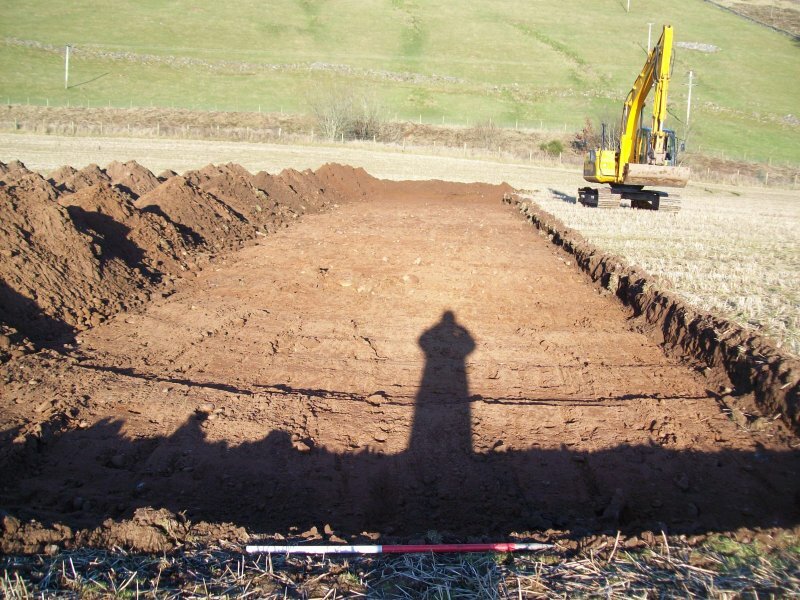 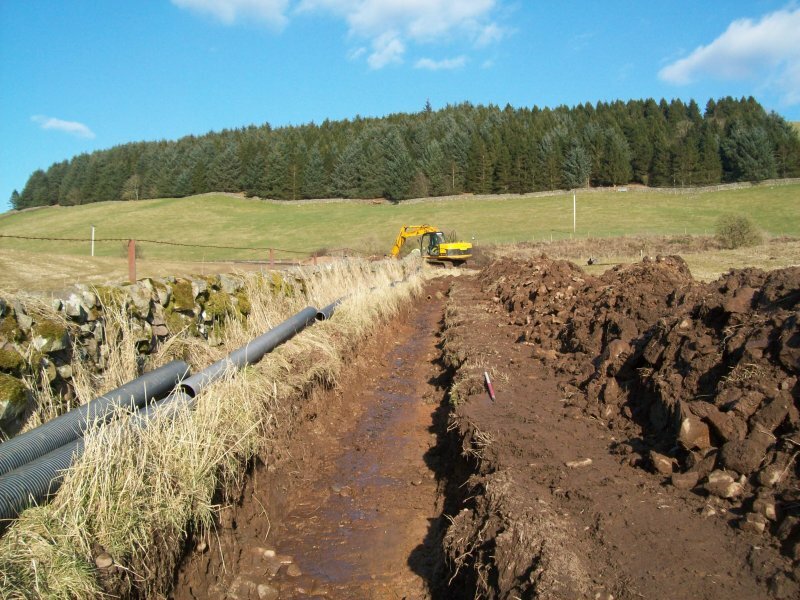 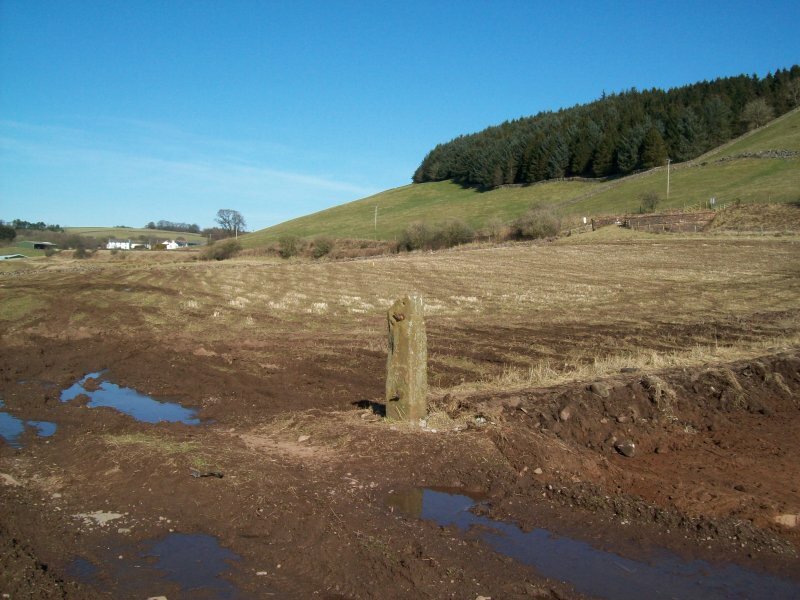 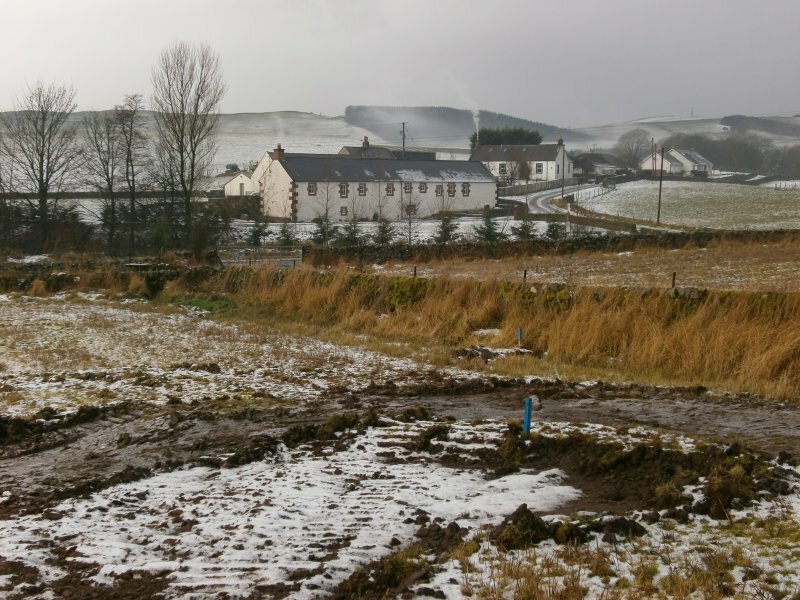 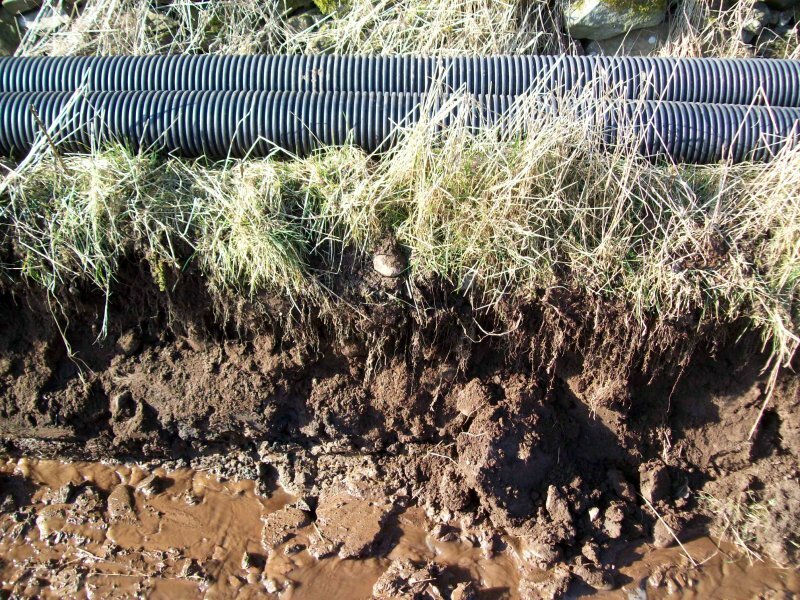 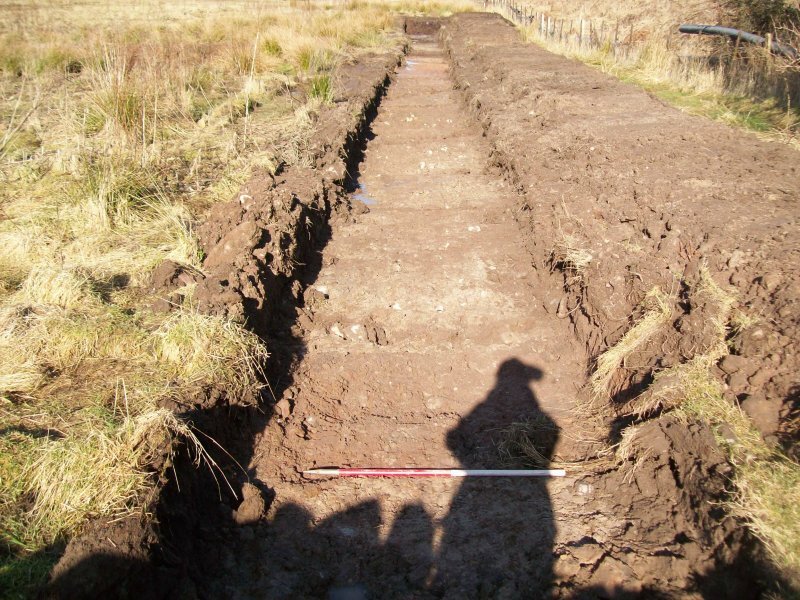 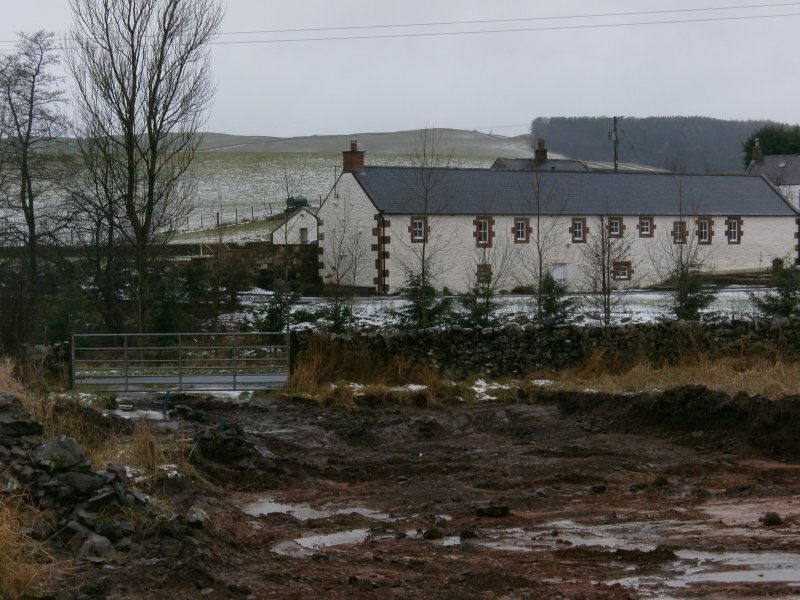 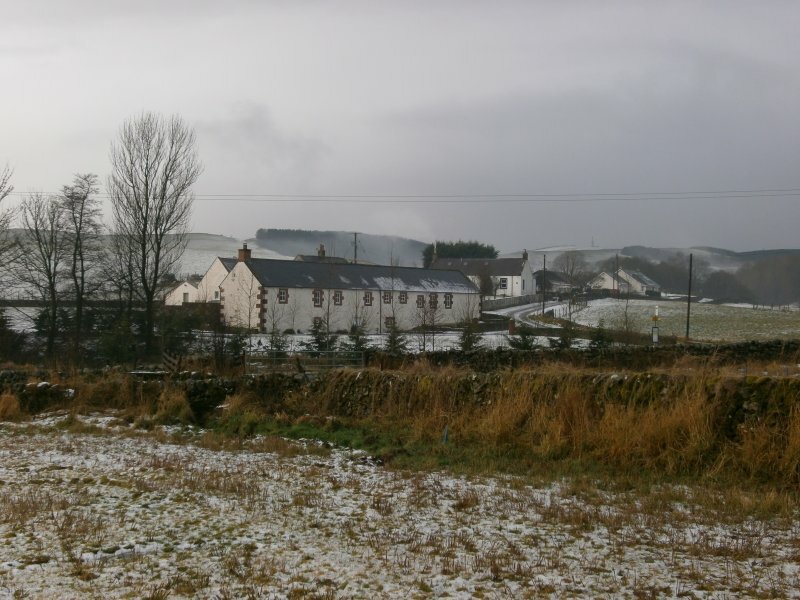 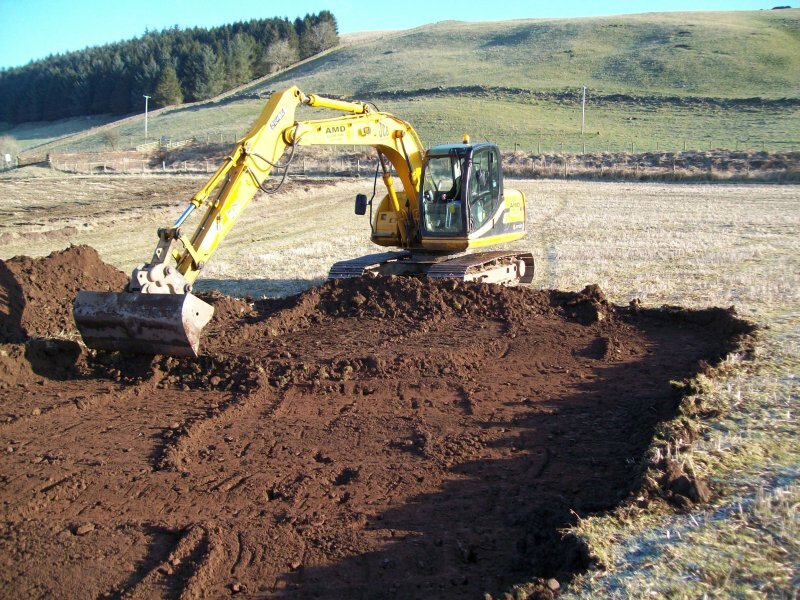 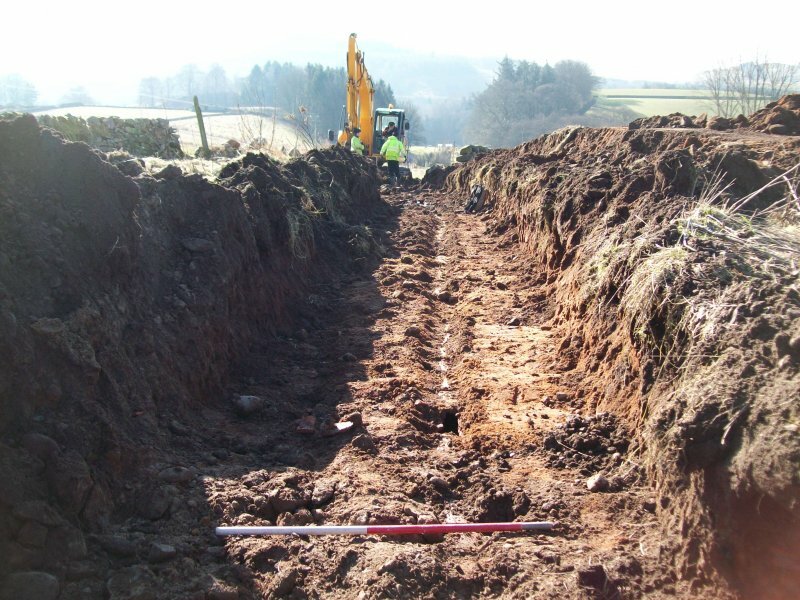 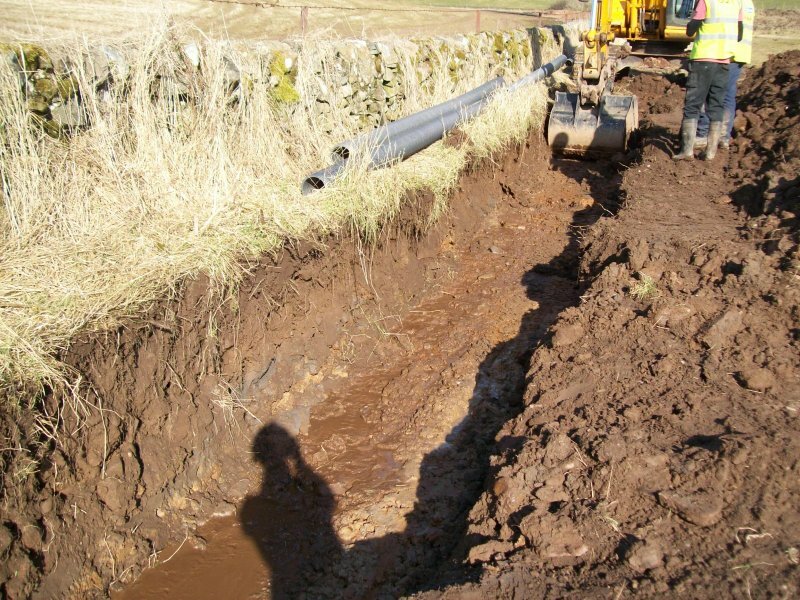 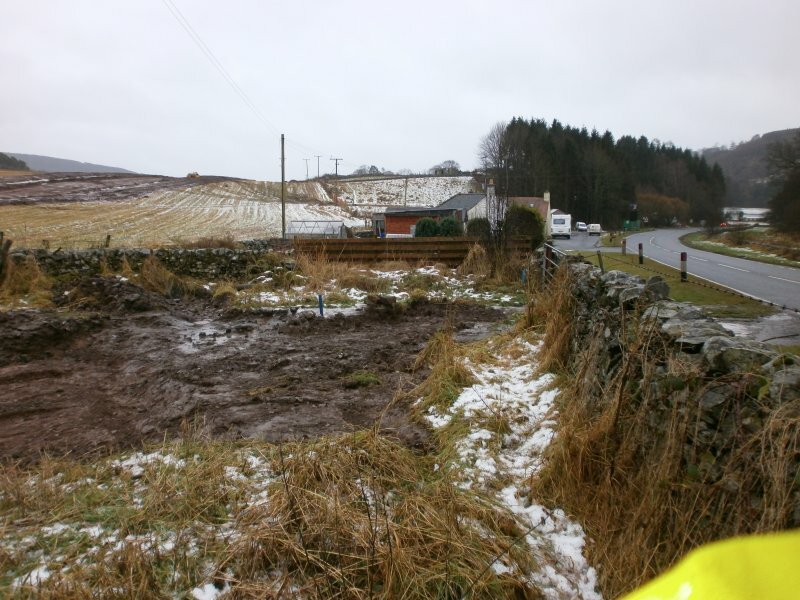 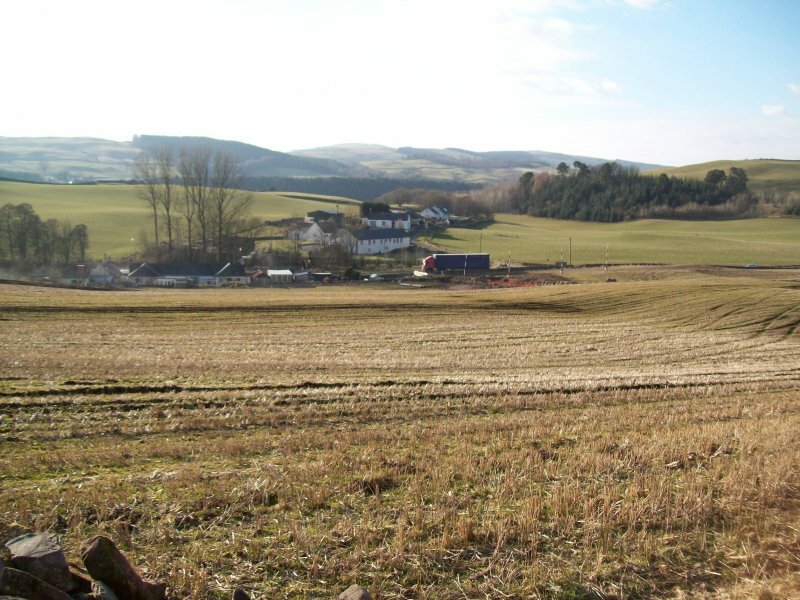 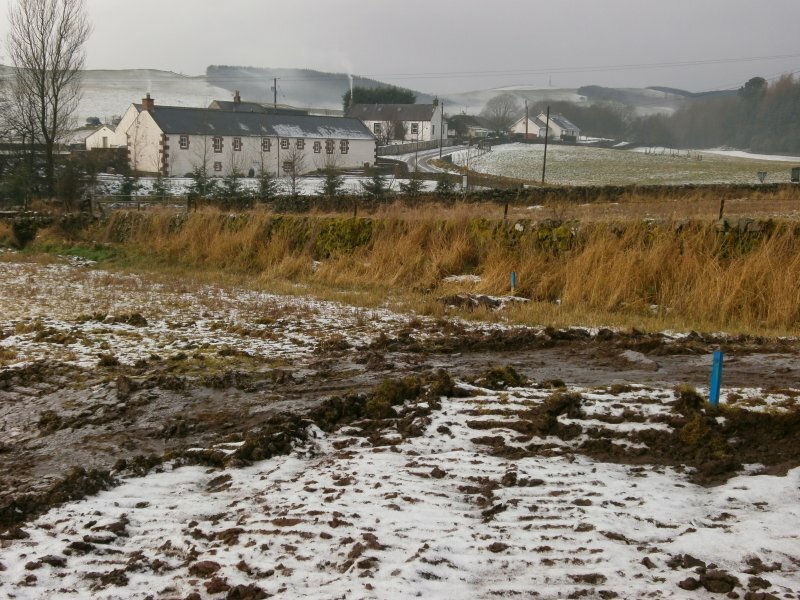 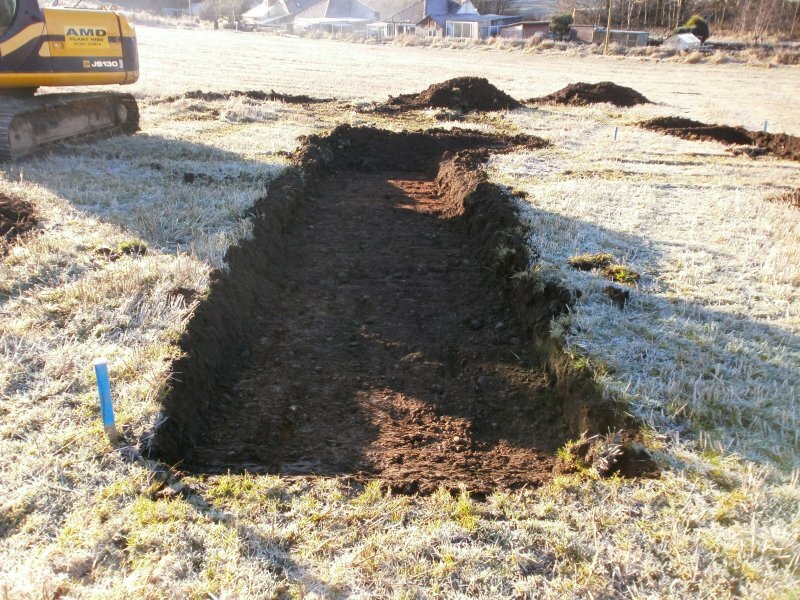 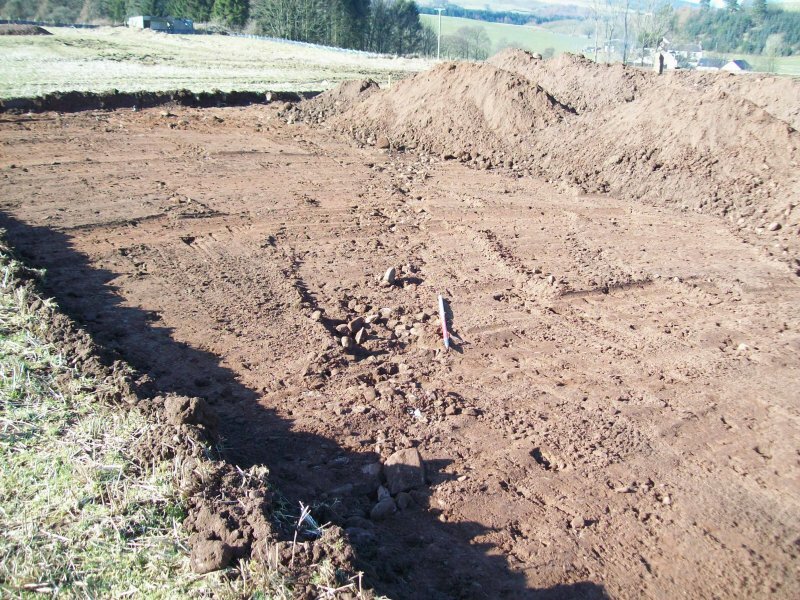 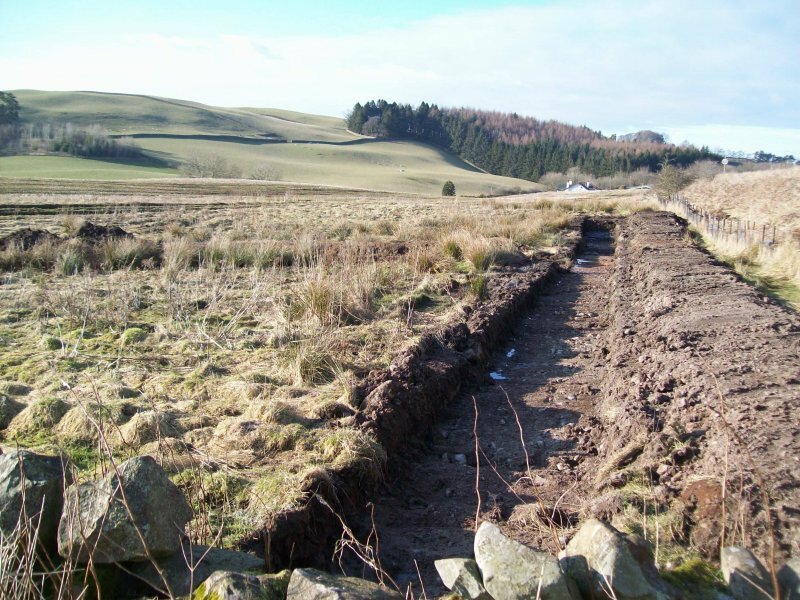 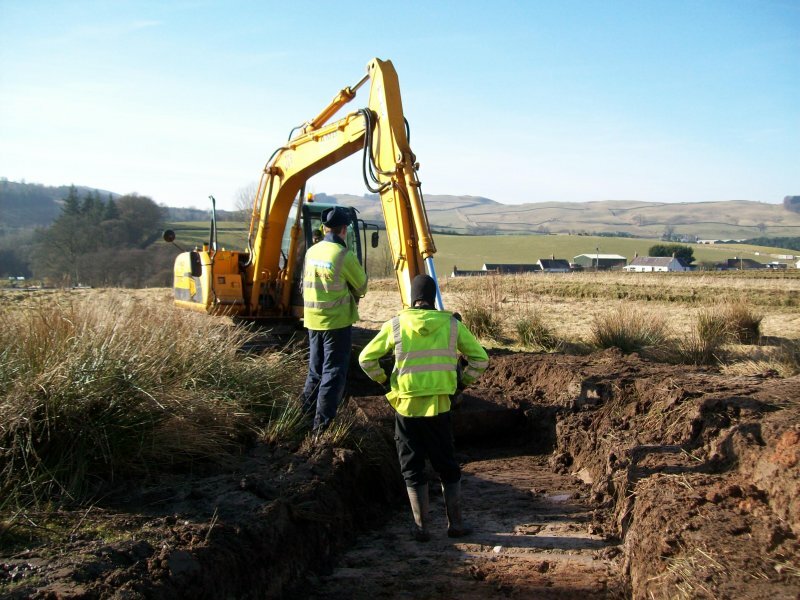 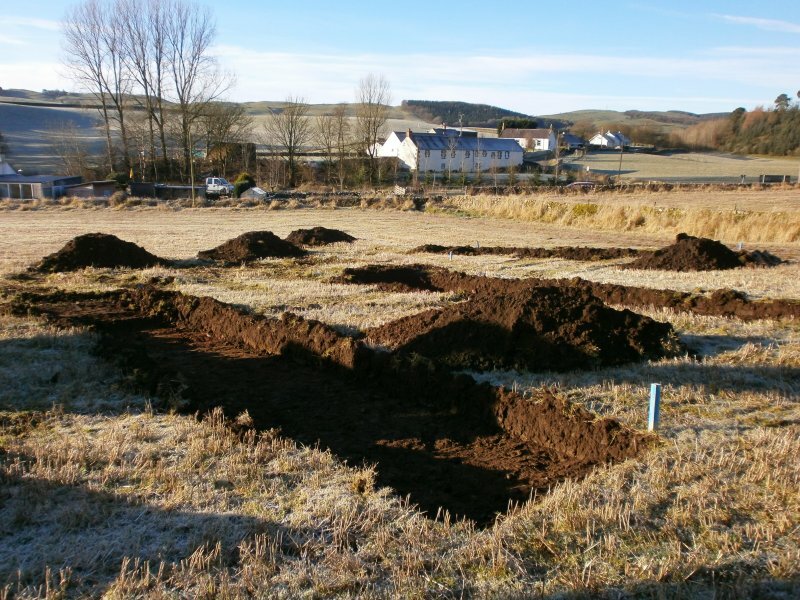 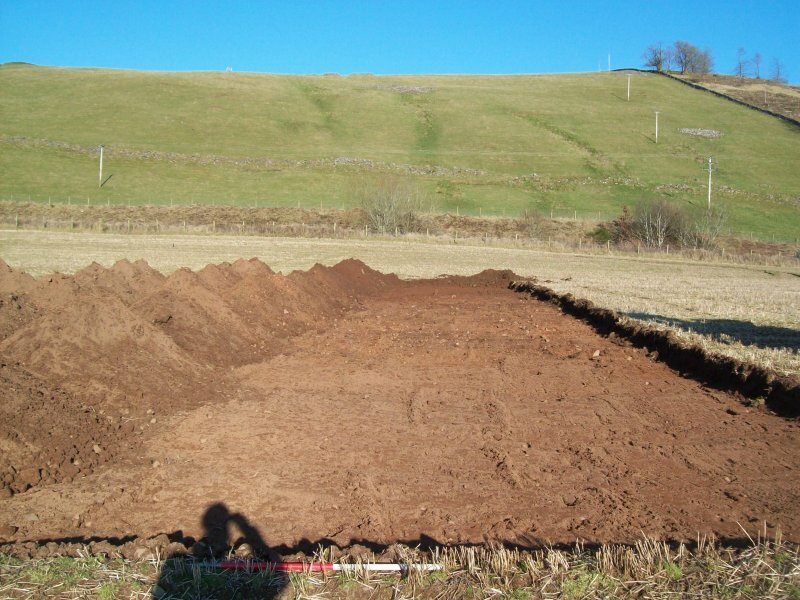 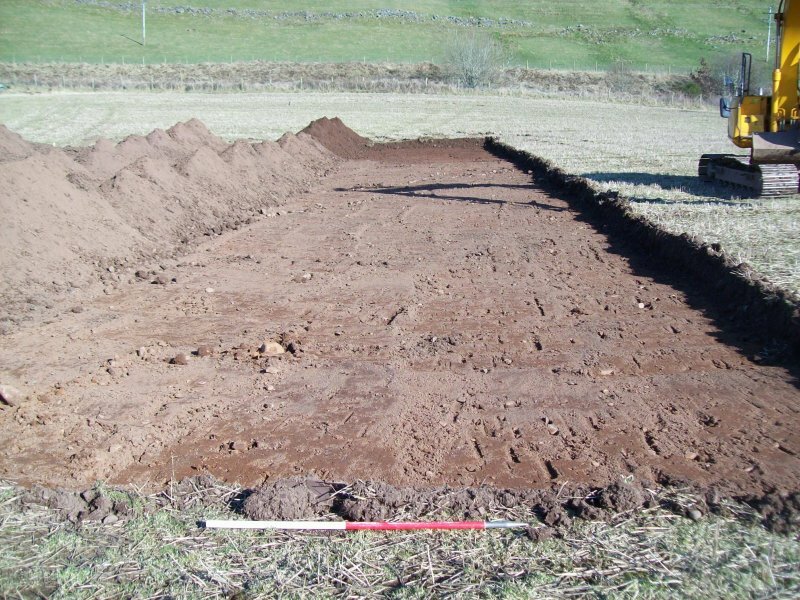 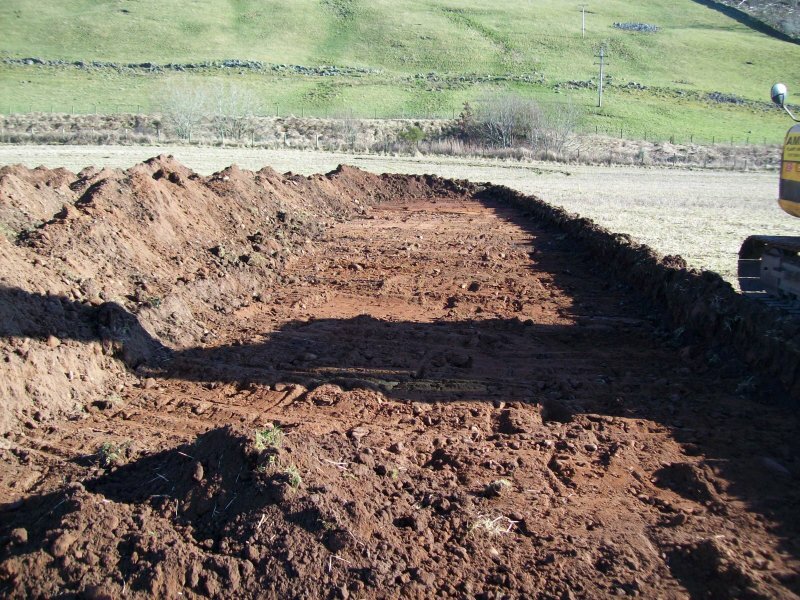 As such, the monitoring works were halted with the agreement of the Dumfries and Galloway Council Archaeology Service and no further works on-site were required.